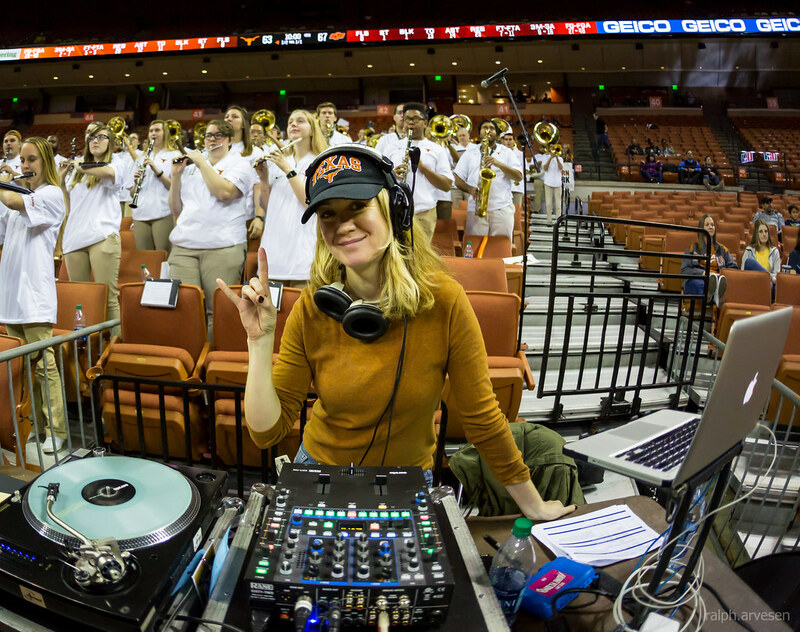 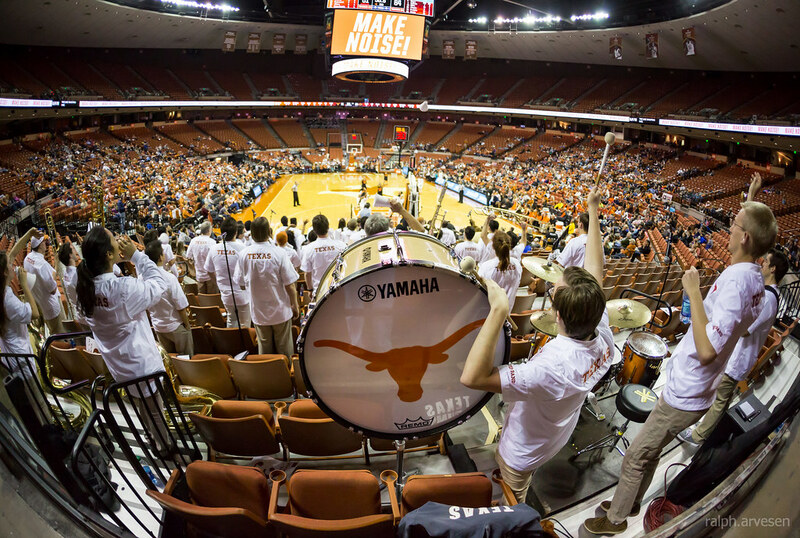 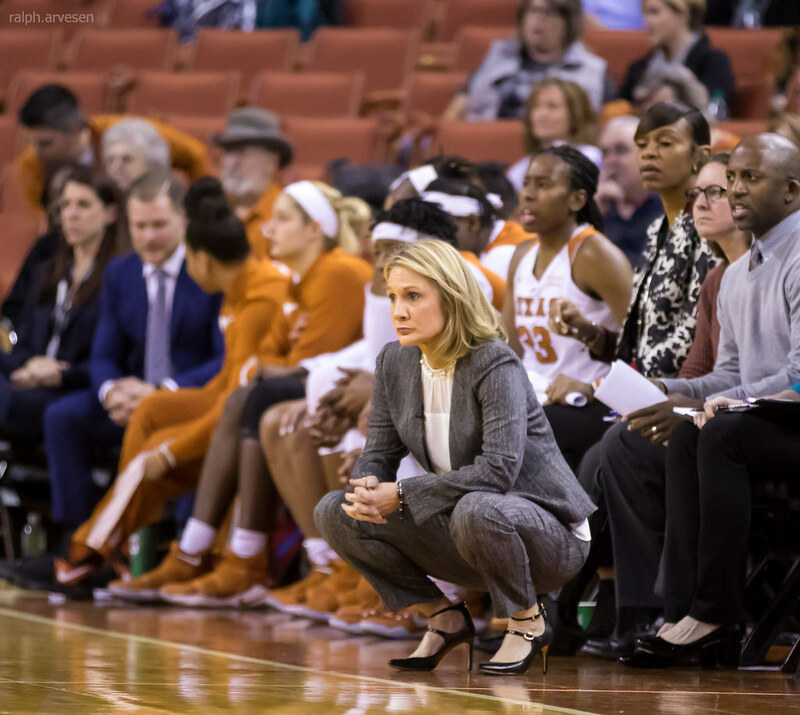 The University of Texas Longhorn women's basketball game against the Oklahoma State Cowgirls at the Frank Erwin Center in Austin, Texas on January 3, 2018. 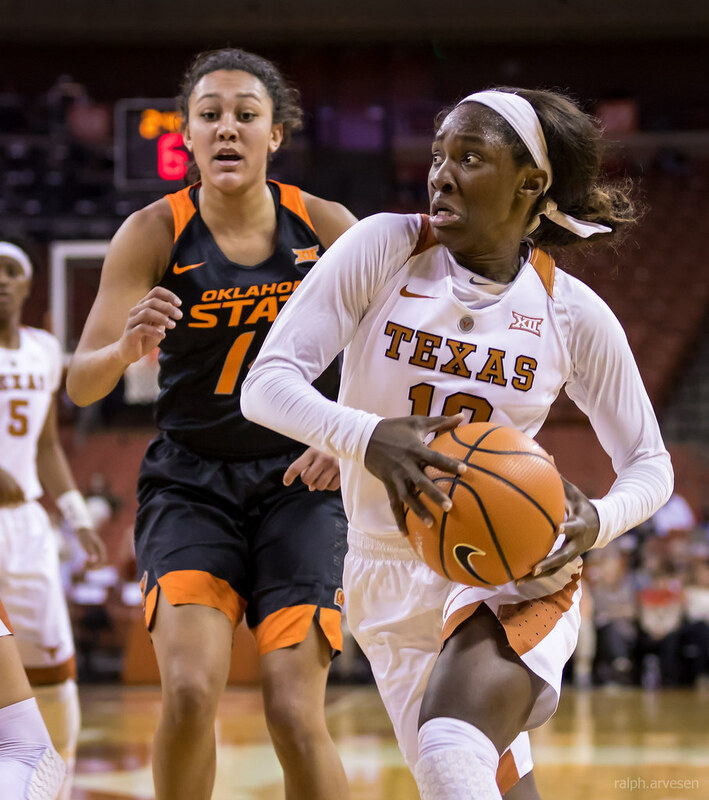 Junior Texas guard Lashann Higgs scored a career-high 30 points Wednesday and the No. 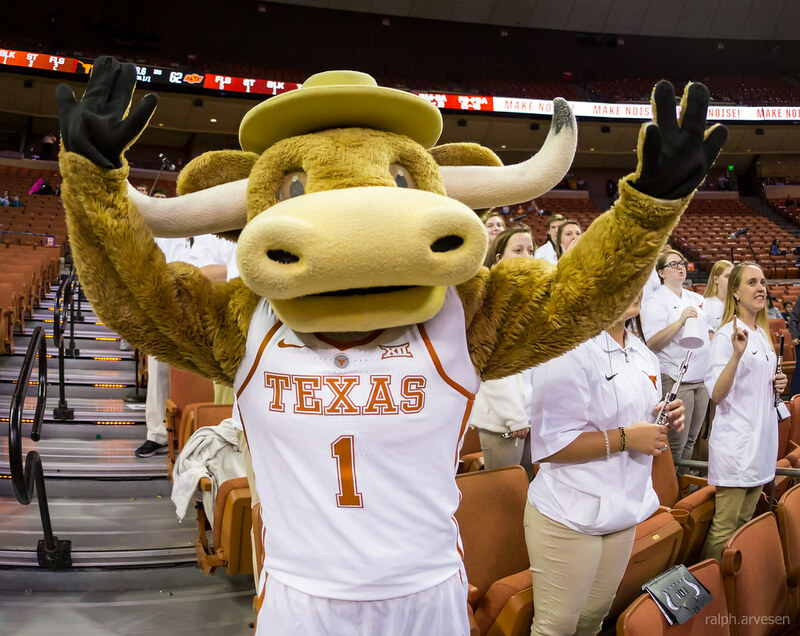 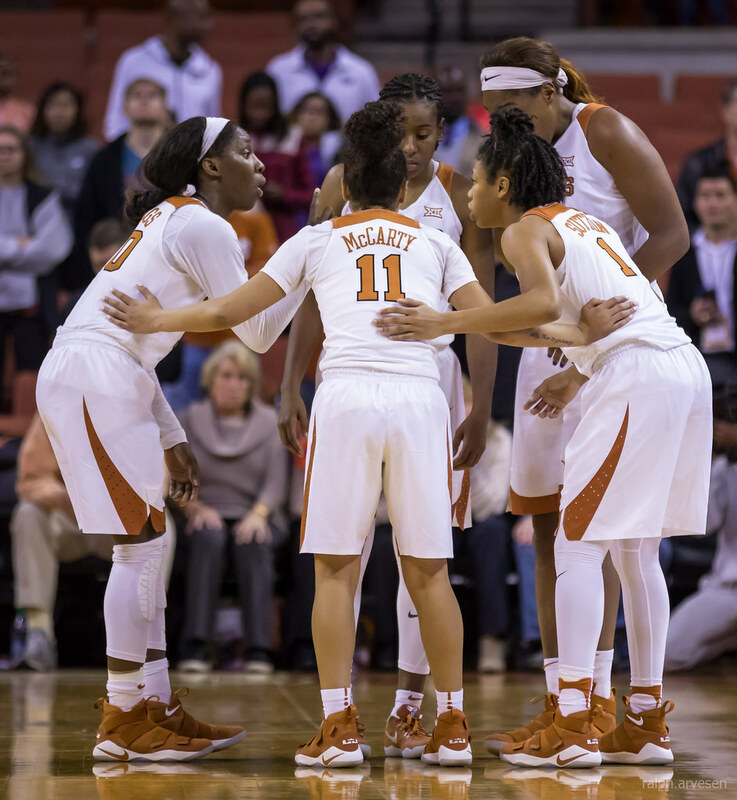 8 Longhorns overcame a six-point deficit with 3:43 remaining to defeat No. 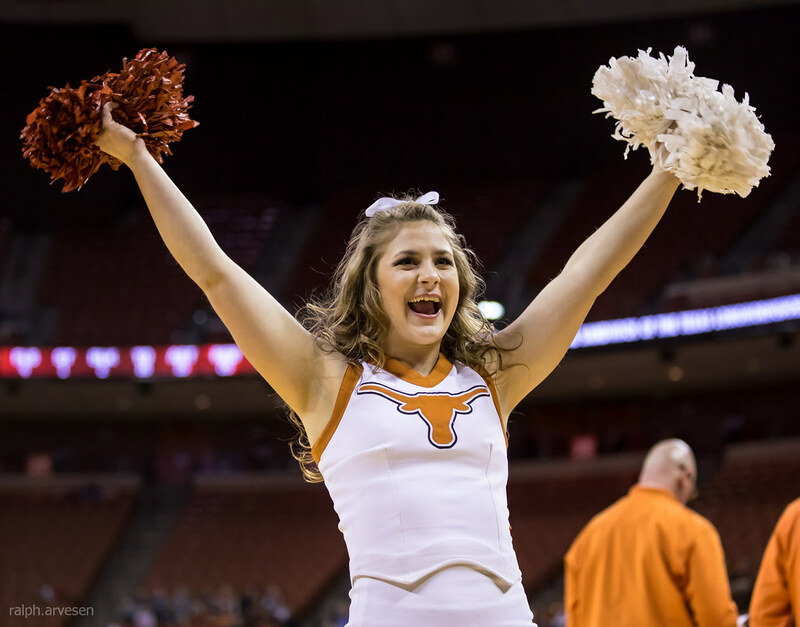 20 Oklahoma State 84-79 at the Frank Erwin Center. 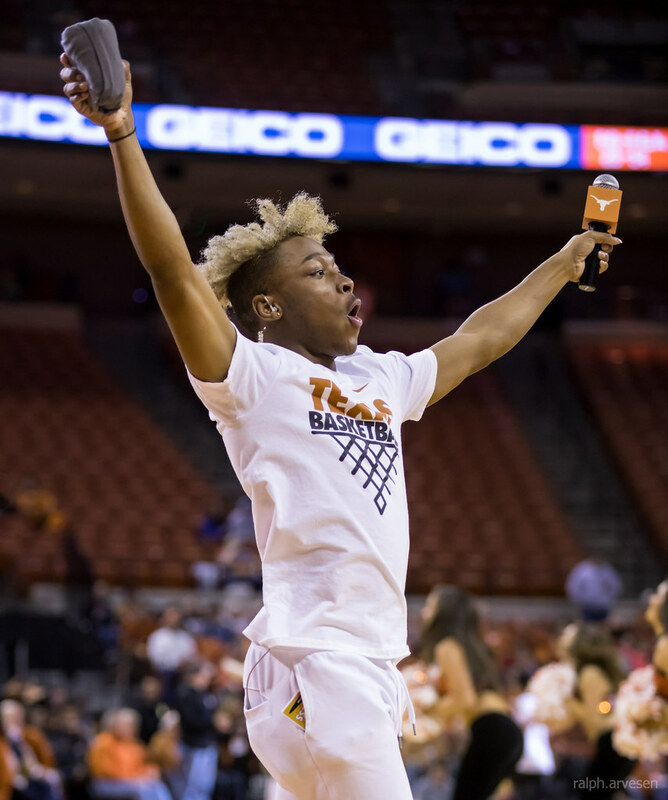 The Longhorns (12-1, 3-0 Big 12 Conference) trailed by as many as eight points in the fourth quarter and were down 77-71 with 3:43 remaining after a lay-up by Oklahoma State's Braxtin Miller. 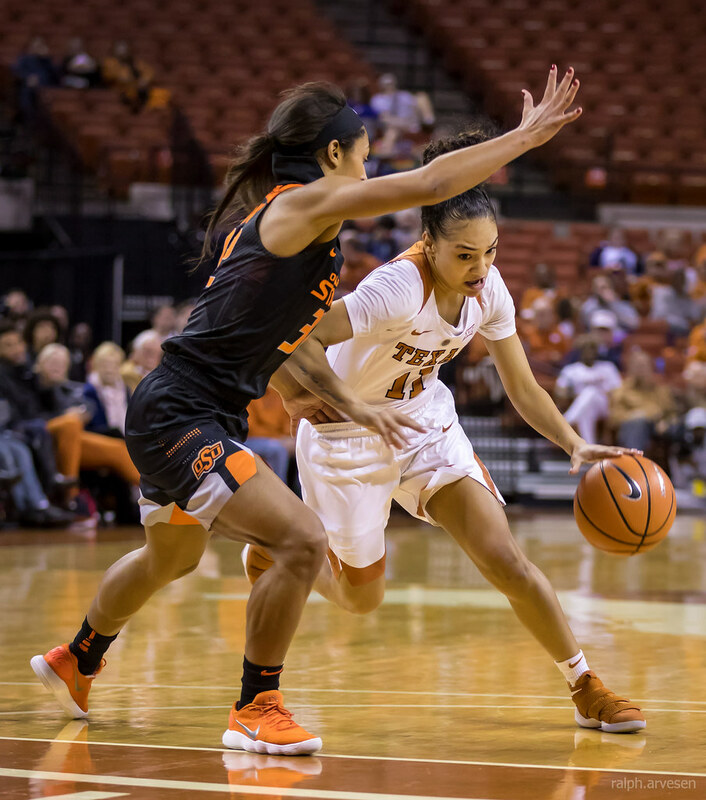 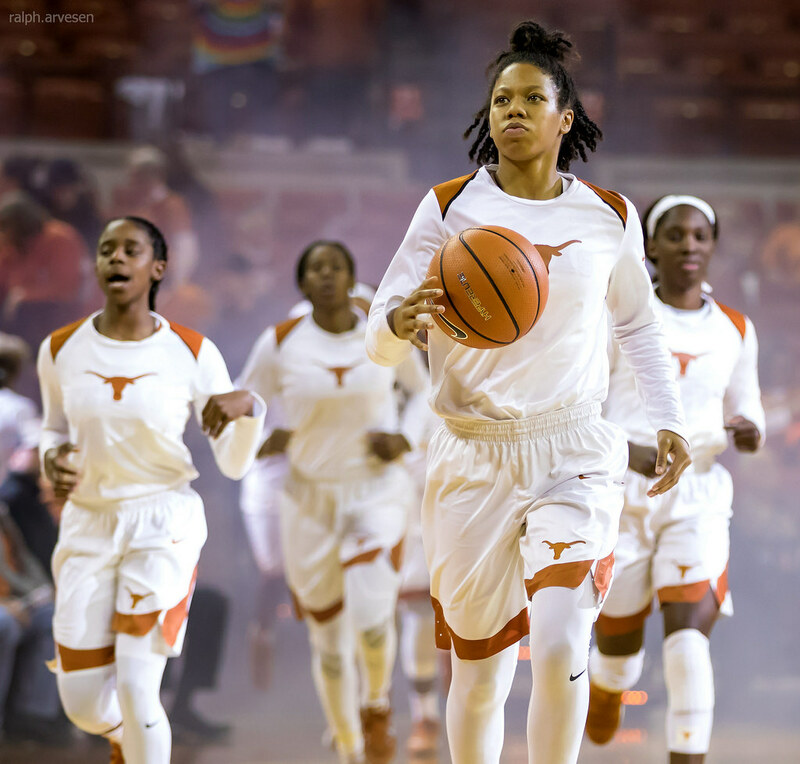 Texas then used a 9-0 run over the next 1:26, sparked by five points from sophomore guard Alecia Sutton, to go in front 80-77 with 2:17 left. 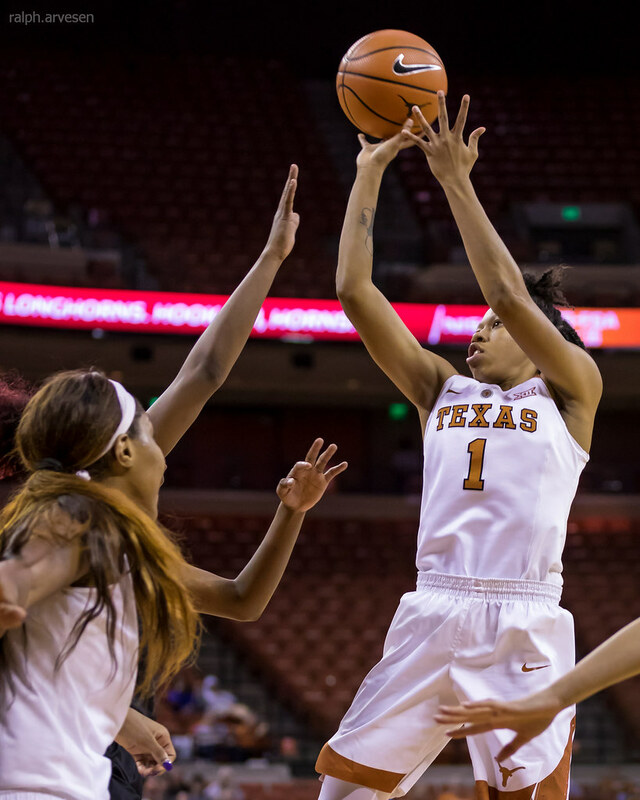 The Longhorns were 7-of-8 from the free-throw line in the decisive fourth quarter. 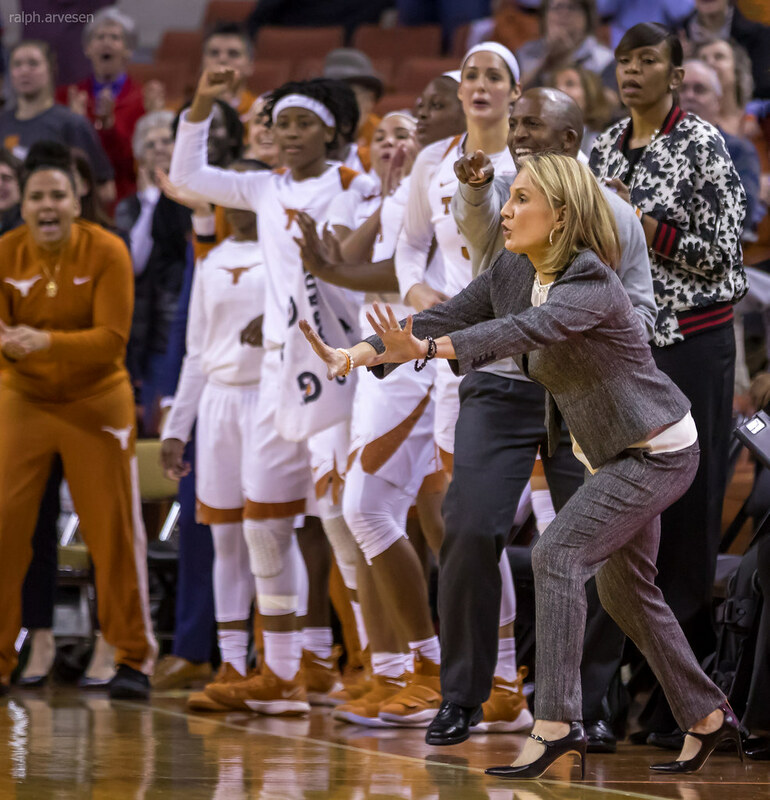 "I thought that this was a very high-level basketball game and credit to Oklahoma State," Texas head coach Karen Aston said. 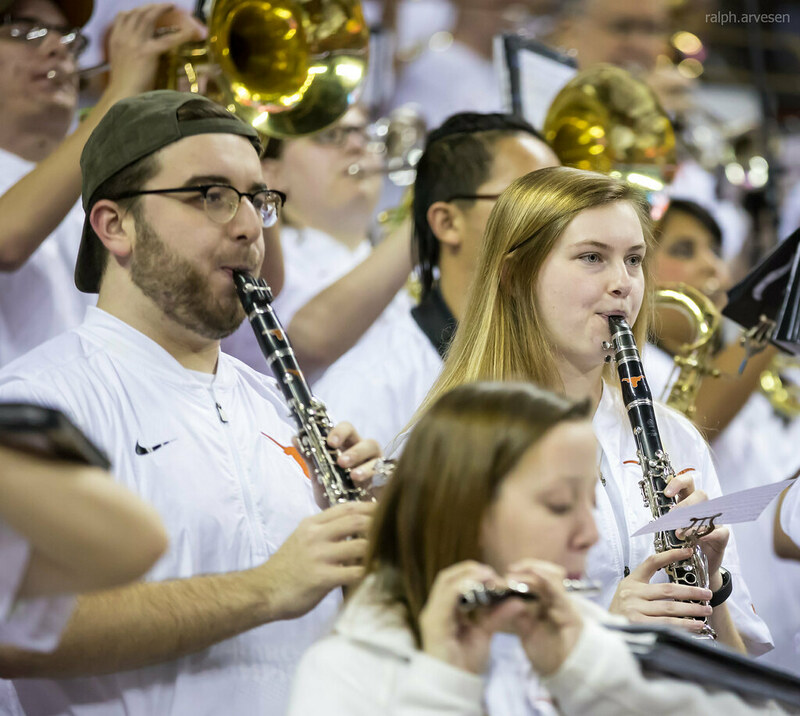 "They were really, really good, but it didn't surprise me. 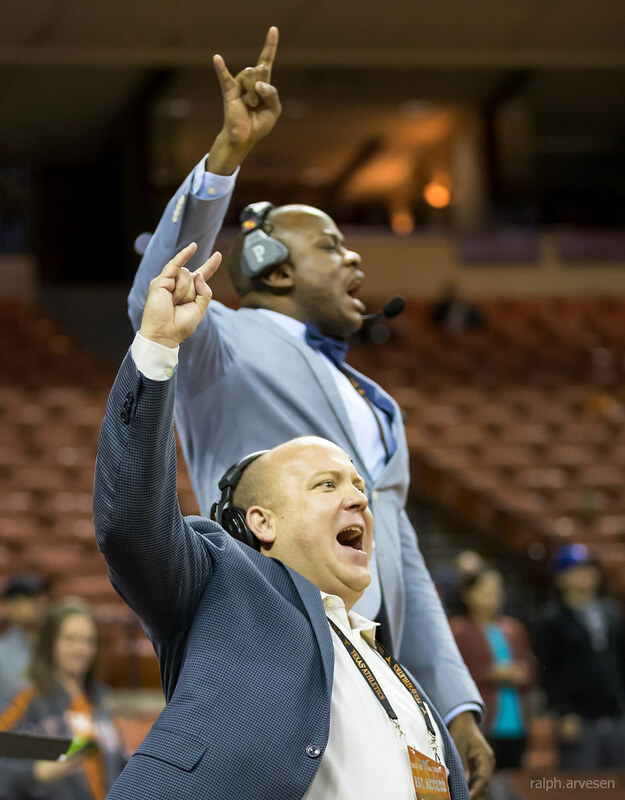 We were very, very fortunate to win tonight because the majority of the night they outplayed us in some areas that we've got to be better in, but credit to our players that they didn't panic. 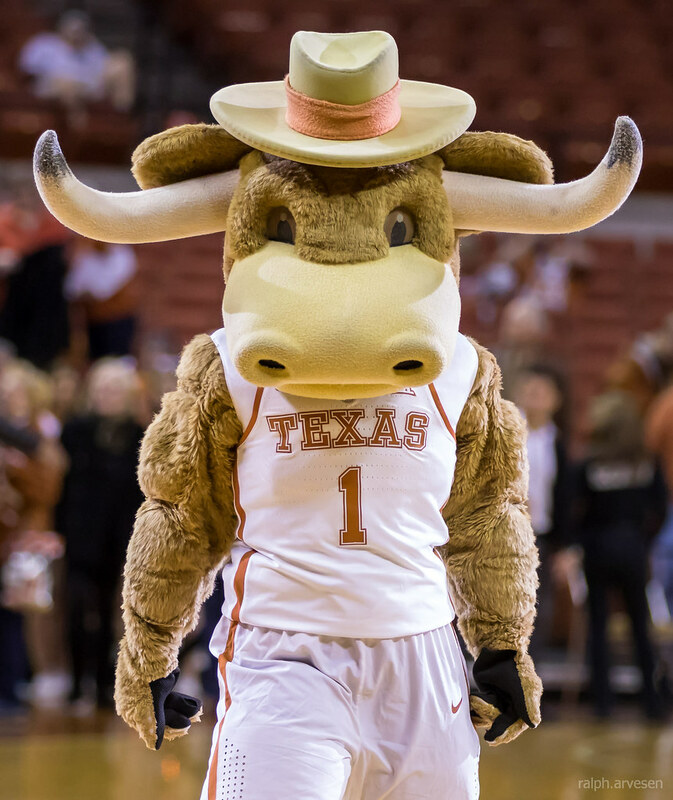 They just dug their heels in and found a way to win. 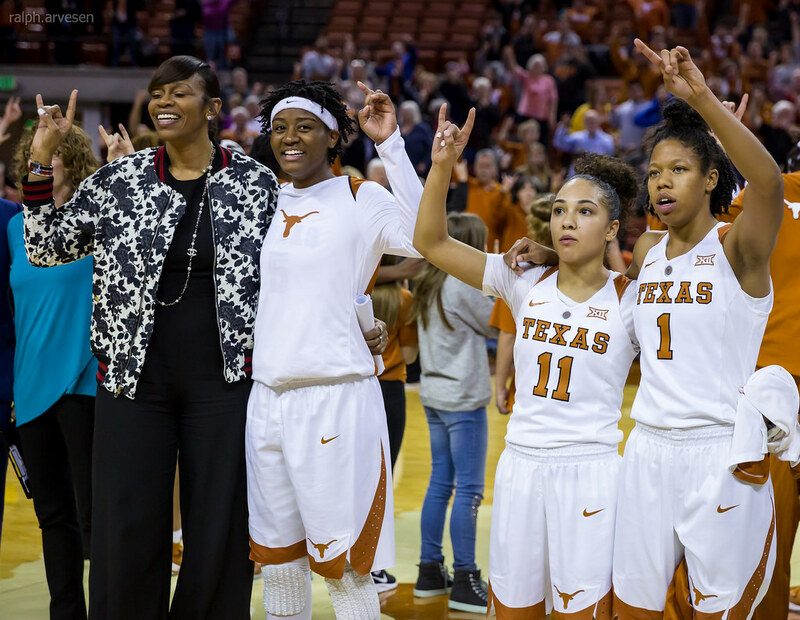 I'm proud of them." 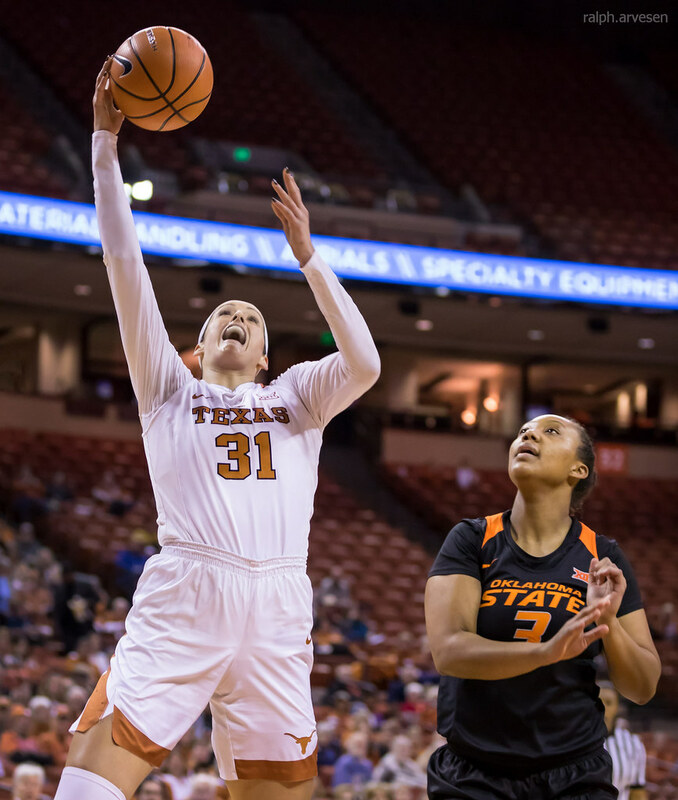 Higgs' career-high 30 points came just two games after setting a career-high with 25 against Oklahoma on December 28. 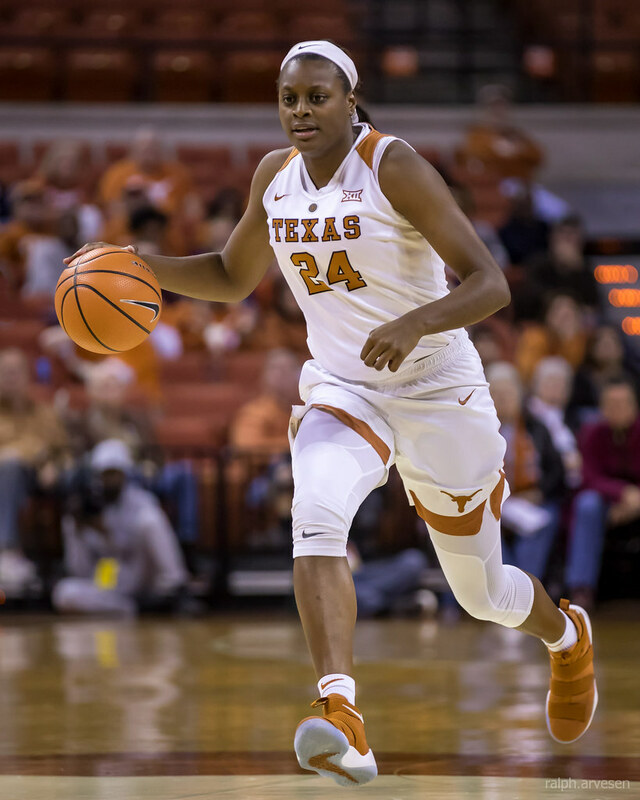 She became the first Texas player to score 30 points since Chassidy Fussell had 31 against Tennessee on December 16, 2012. 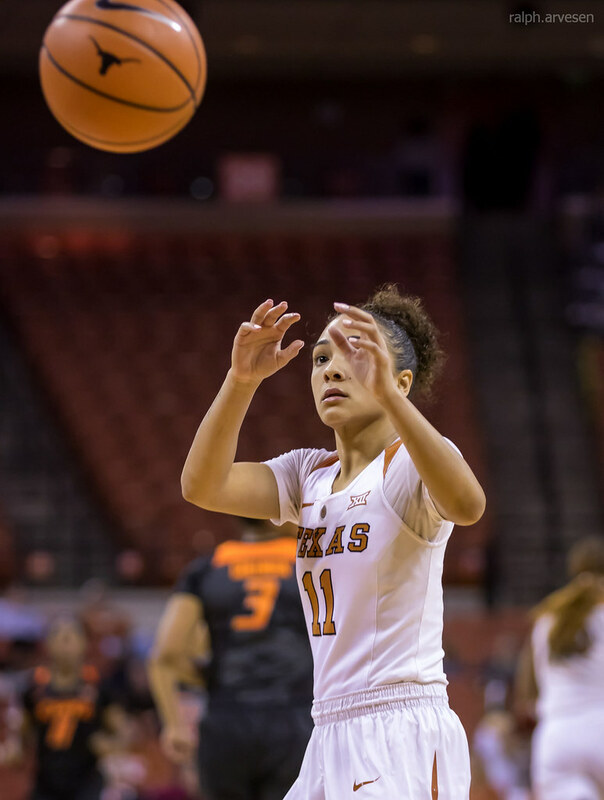 Higgs played a career-high 32 minutes, making a career-best 11-of-15 field-goals and tying her career high with seven made free-throws (7-of-7). 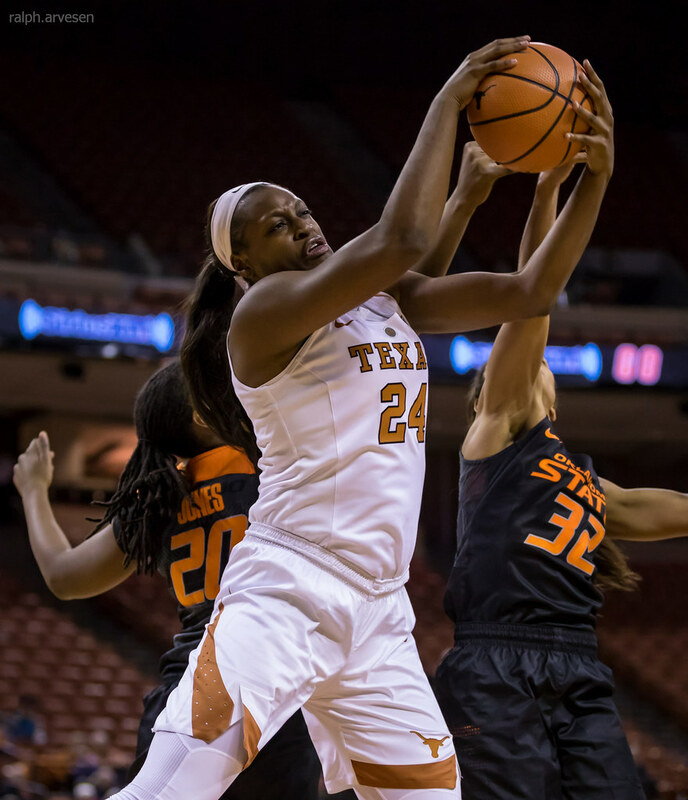 Eighteen of her 30 points came in the second half. 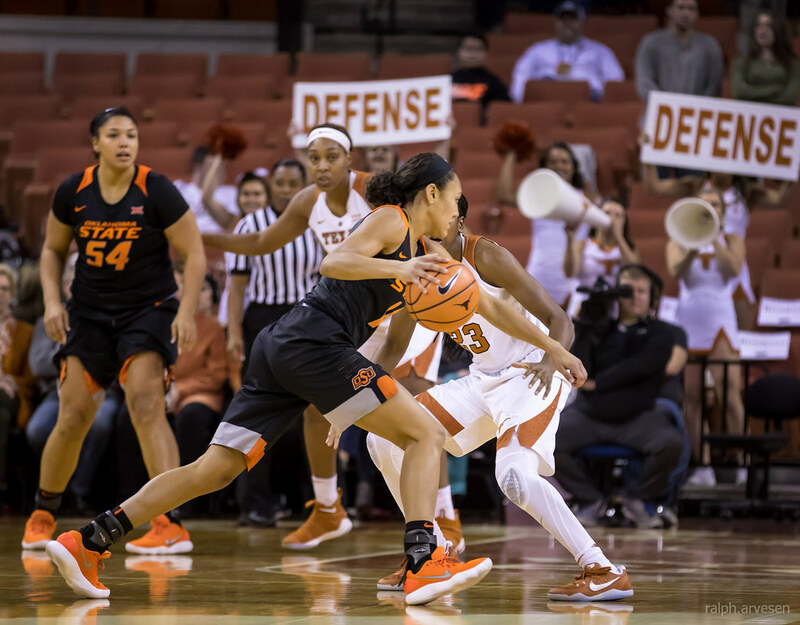 Higgs also accomplished the feat while handling the defensive assignment of guarding the Cowgirls' best perimeter player, graduate transfer Loryn Goodwin, who entered the game ranked 10th in the nation averaging 21.9 points per game. 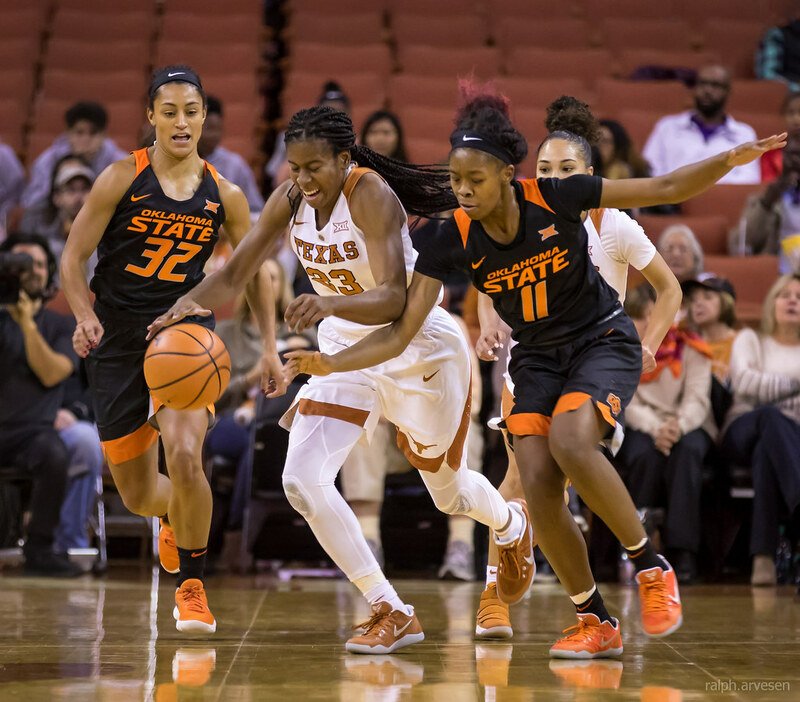 "Since I'm starting to focus more on defense, it kind of takes the pressure off me to perform offensively because our team can score," Higgs said. 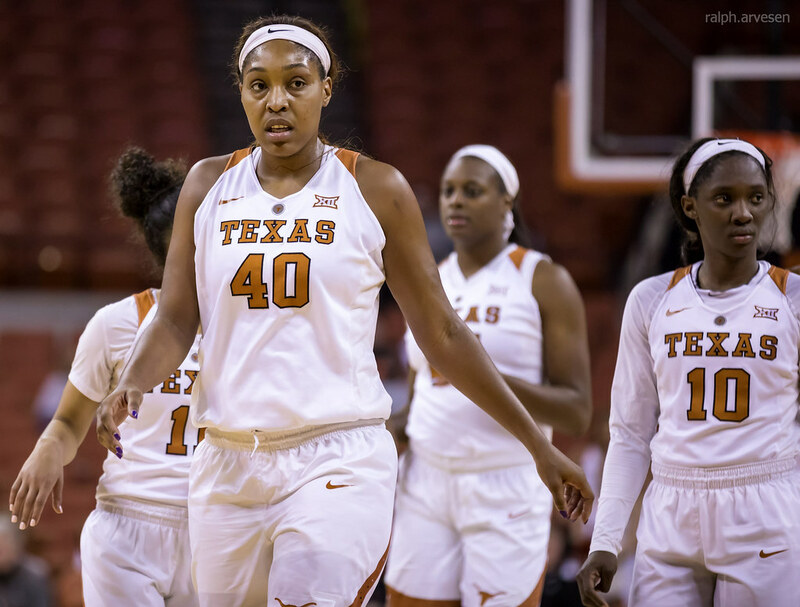 "If I can play defense and help the team way more than I can play offense, then I'll do that." 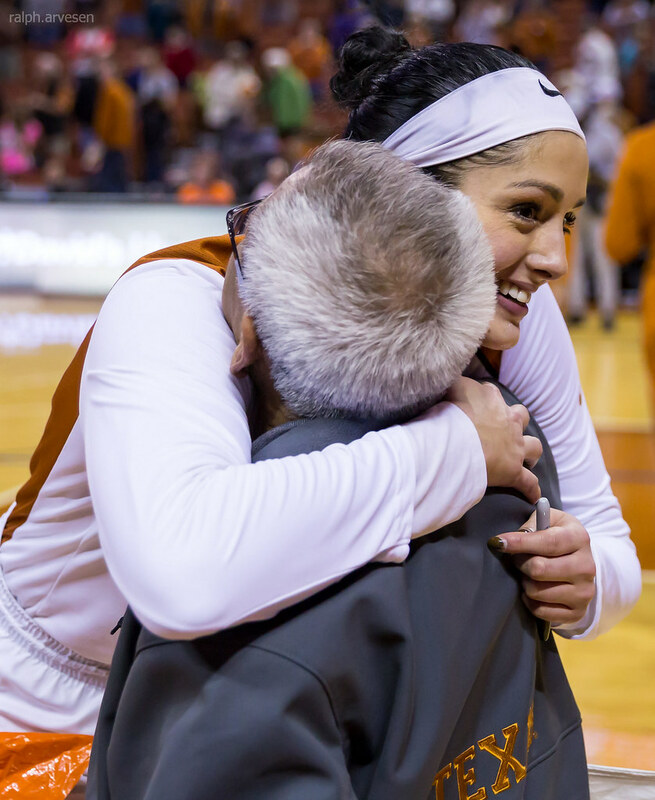 Senior point guard Brooke McCarty recorded her first career double-double with 21 points and a career-high 10 assists. 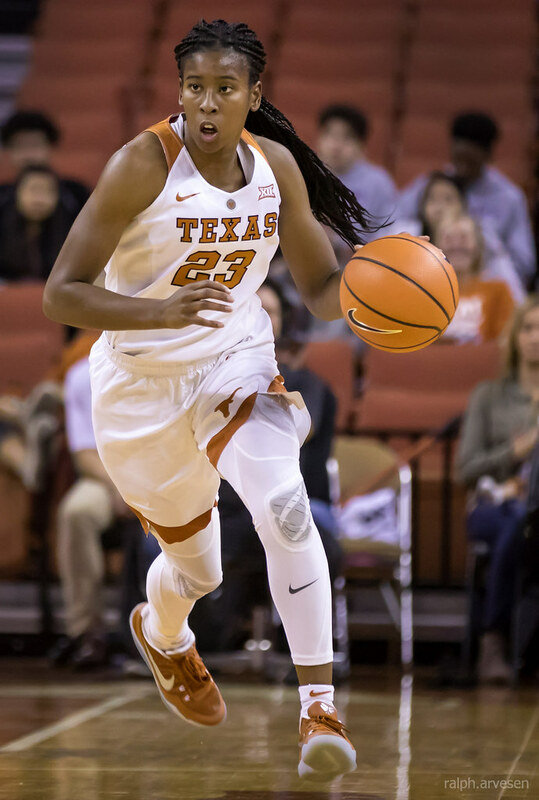 She became the first Texas player to record double-figure assists since Yvonne Anderson had 13 against Texas A&M on January 11, 2012. 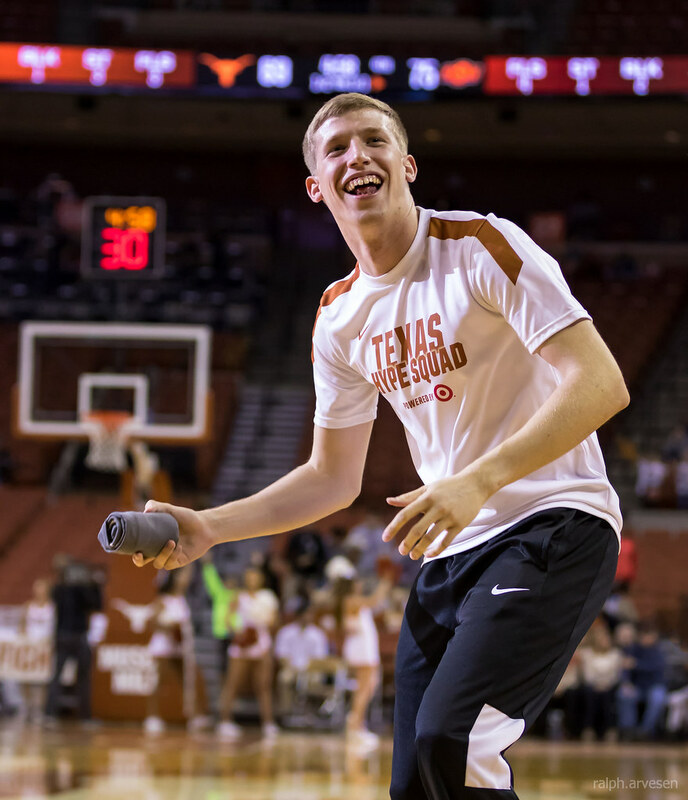 McCarty made 8-of-16 field-goal attempts and was 4-of-4 from the free-throw line. 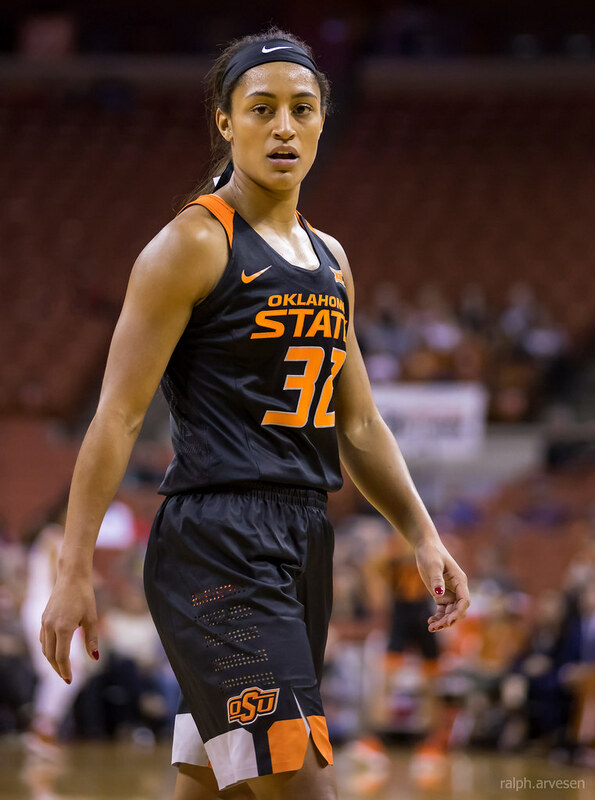 She also brought down five rebounds. 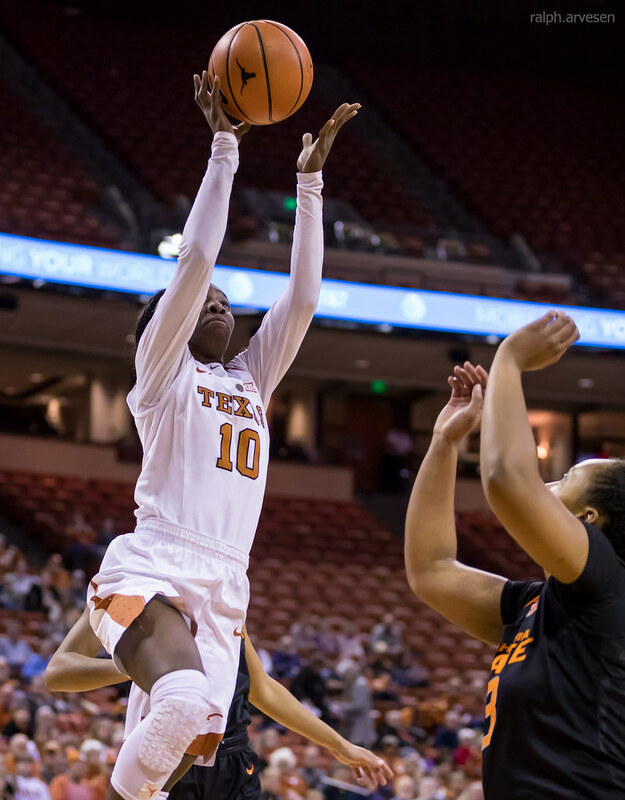 Junior center Jatarie White scored in double figures for the ninth time in her last 10 games with 10 points to complement seven rebounds in 34 minutes of action. 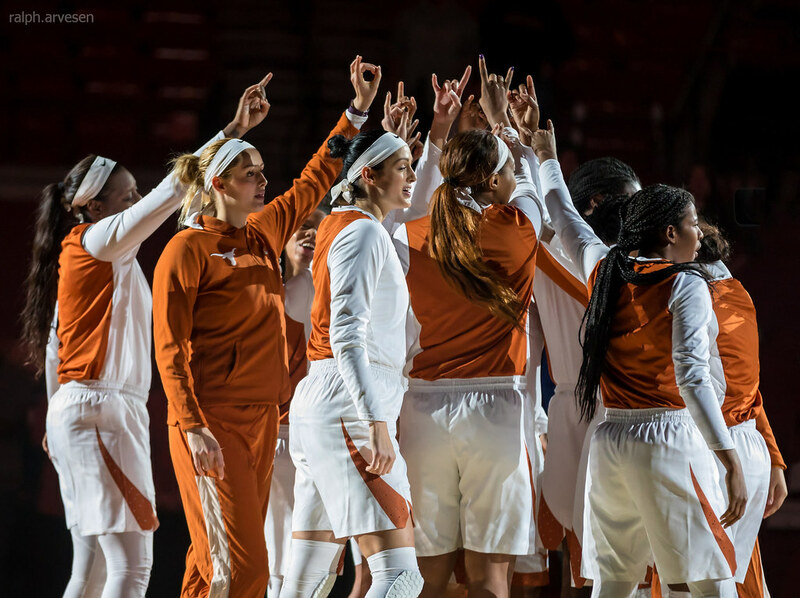 Texas shot 55.7 percent (34-of-61) from the field in the game and improved to 6-0 this season when shooting 50 percent or better. 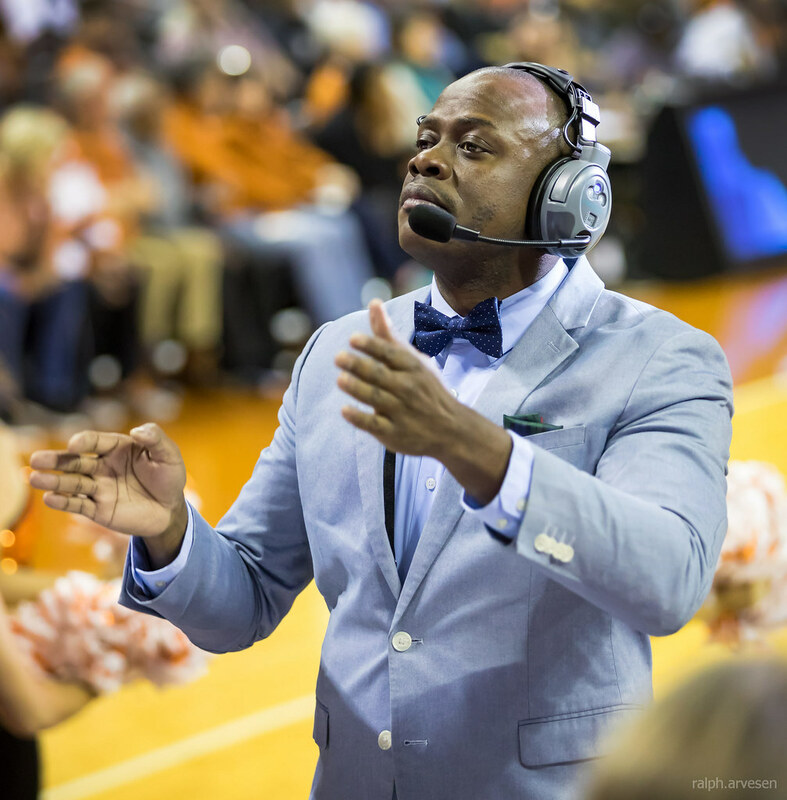 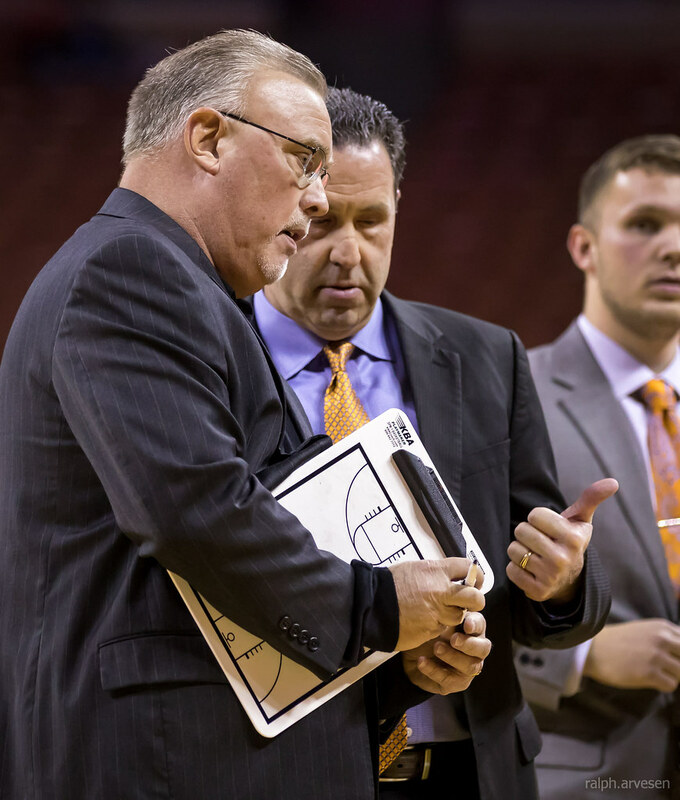 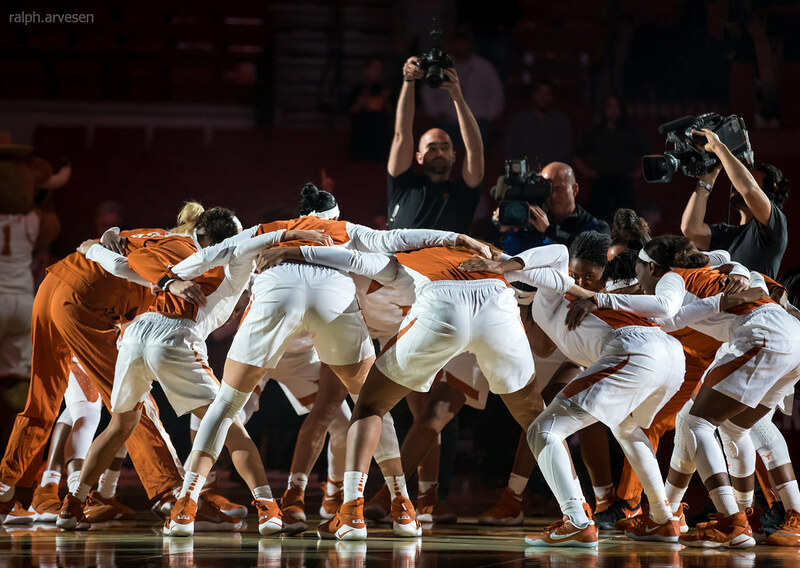 The Longhorns connected on a season-best 92.3 percent (12-of-13) of their free-throws. 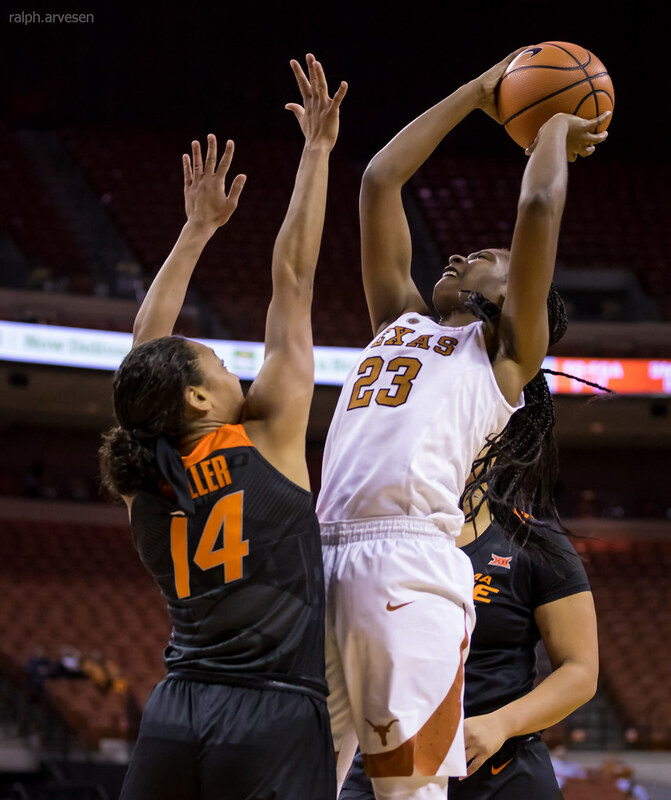 Texas won the rebound battle 30-28 after trailing on the boards 18-14 at intermission. 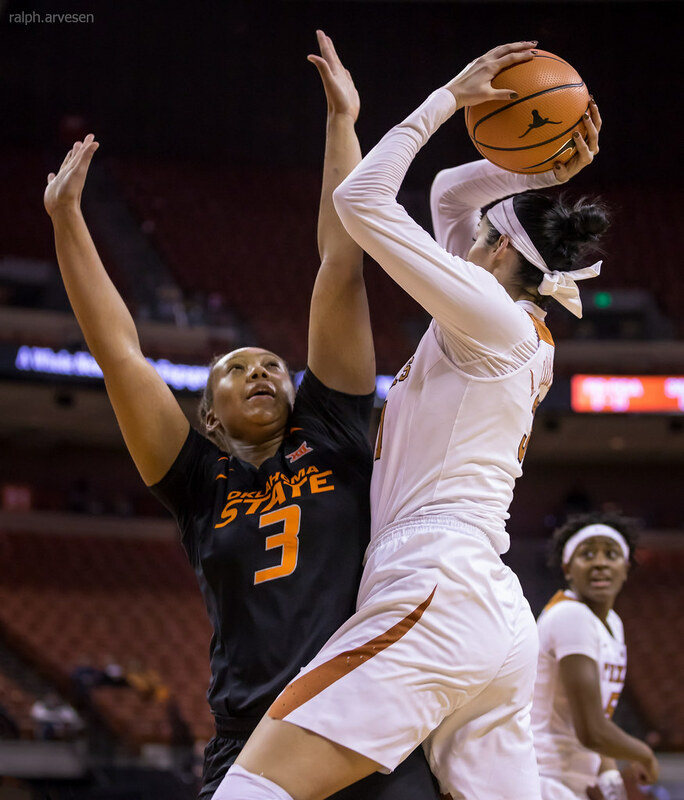 After Oklahoma State's Mandy Coleman scored the game's first basket, Texas ran off eight points in a row, capped off by a McCarty lay-up at the 7:10 mark of the first period to take an 8-2 advantage. 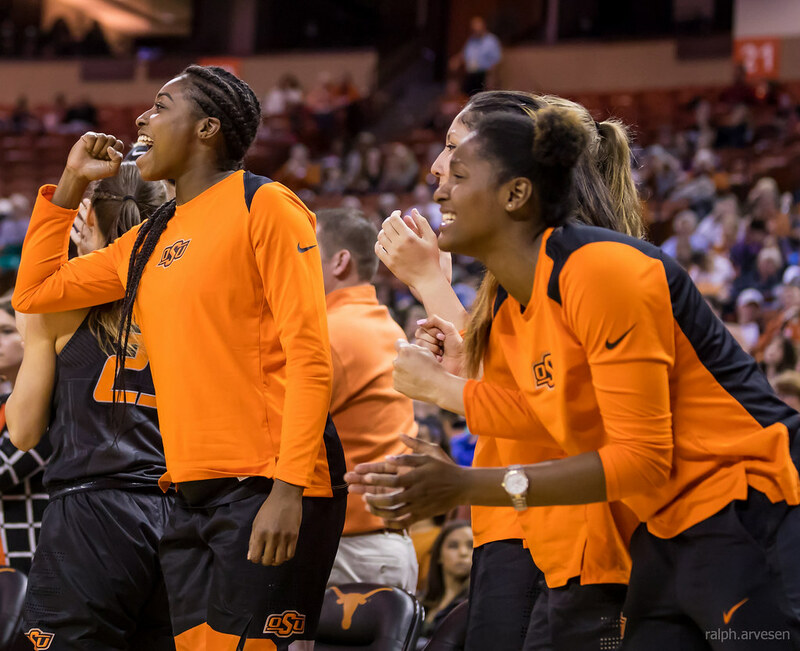 The Cowgirls then scored five consecutive points to shrink their deficit to one, 8-7. 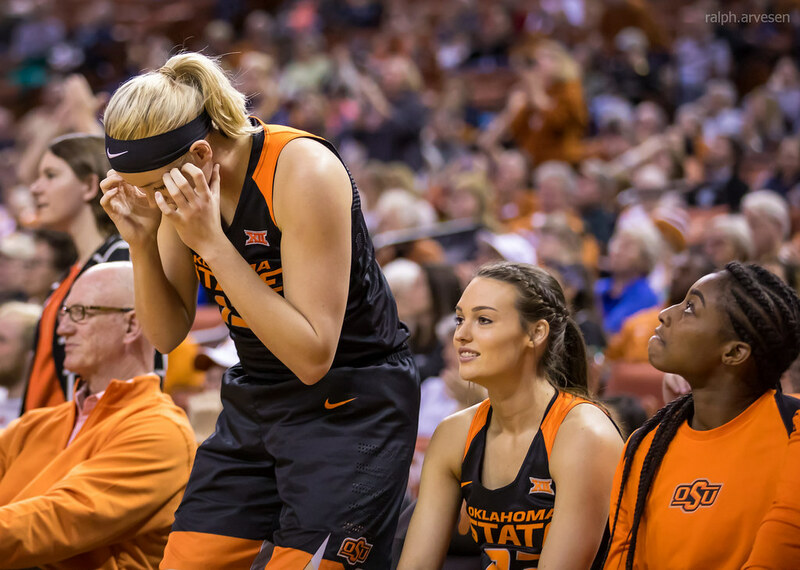 The two teams then traded baskets until back-to-back hoops by Oklahoma State's Kaylee Jensen and Miller put the Cowgirls in front 13-12 with 5:14 left in the opening quarter. 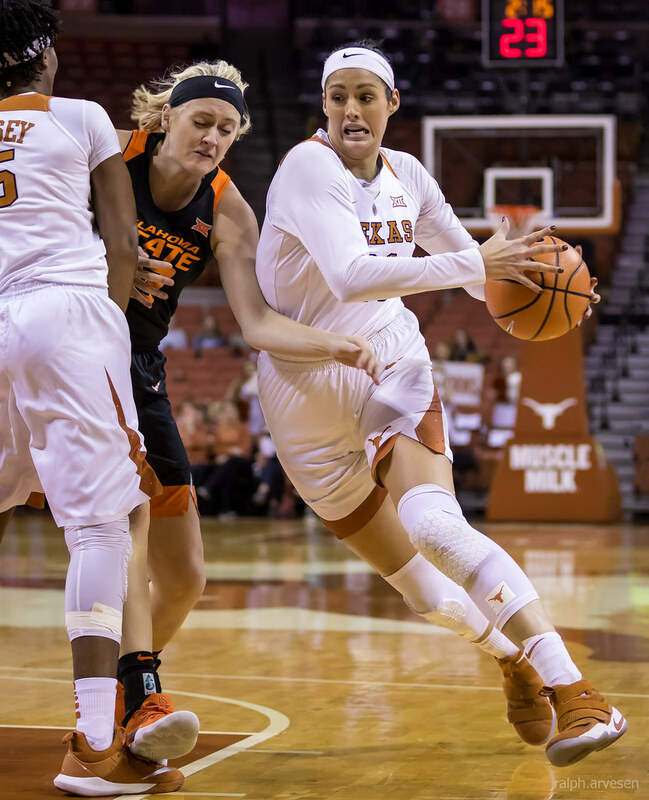 With Texas in front 18-15 after an Ariel Atkins basket, Oklahoma State used a 7-0 run and held the Longhorns scoreless for nearly four minutes to close the first quarter. 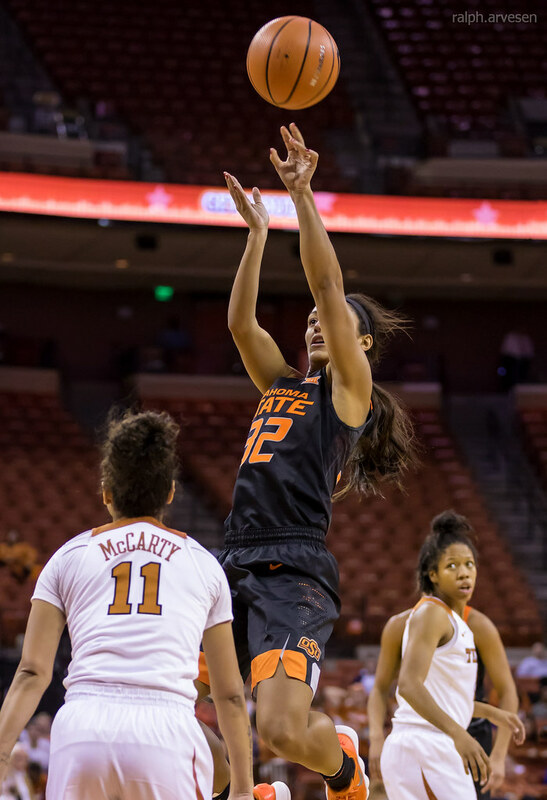 The Cowgirls led 22-18 after one period. 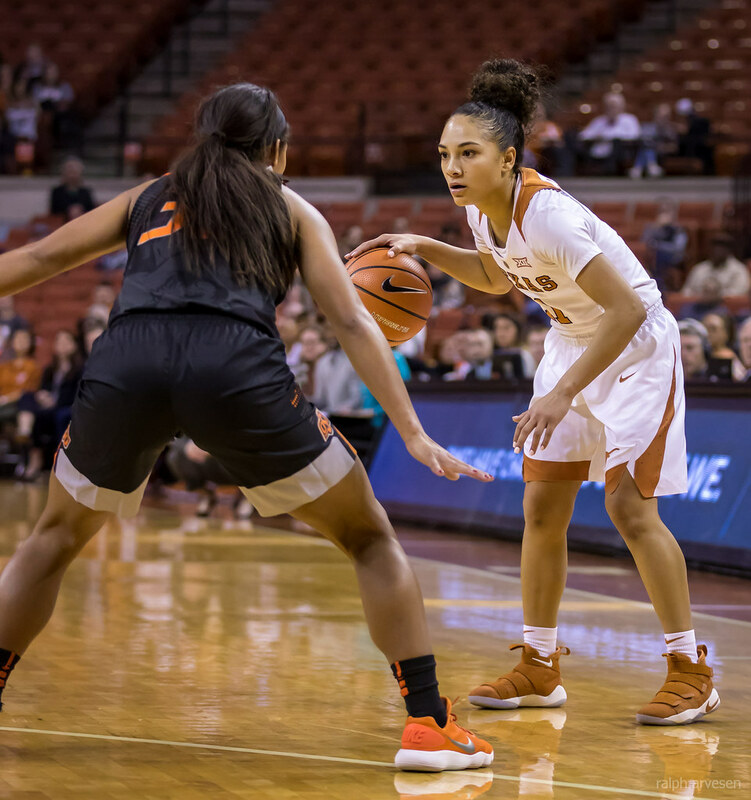 With Texas trailing 24-18 early in the second quarter, Higgs came up with a key steal and had back-to-back baskets to cut within two, 24-22, at the 7:37 mark. 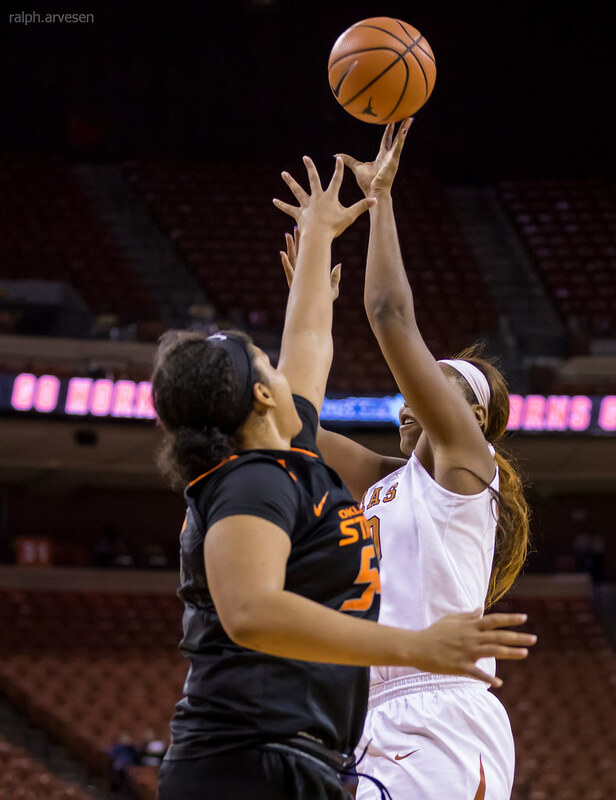 Oklahoma State's Goodwin drained a three from the right corner to push the Cowgirl advantage back out to five, 27-22. 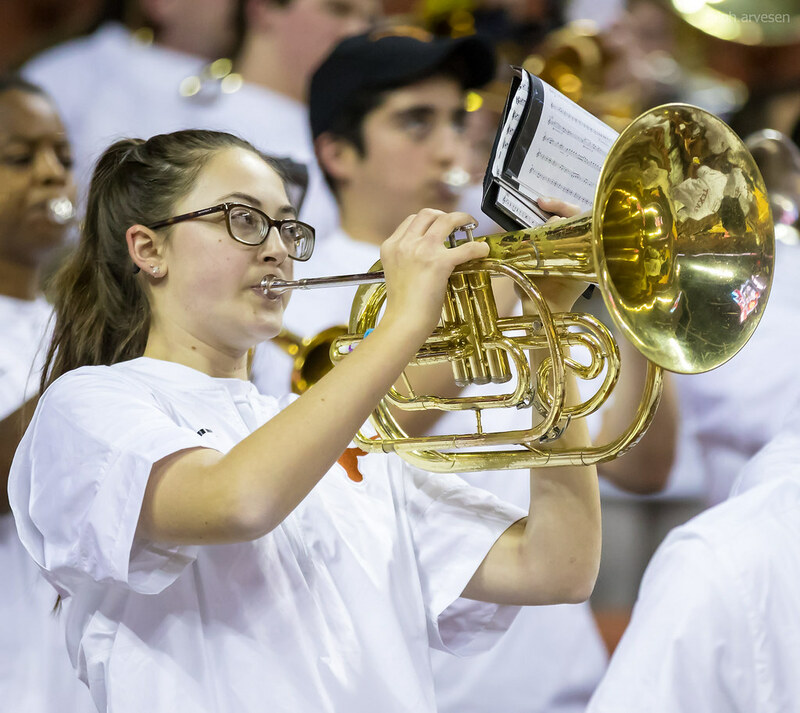 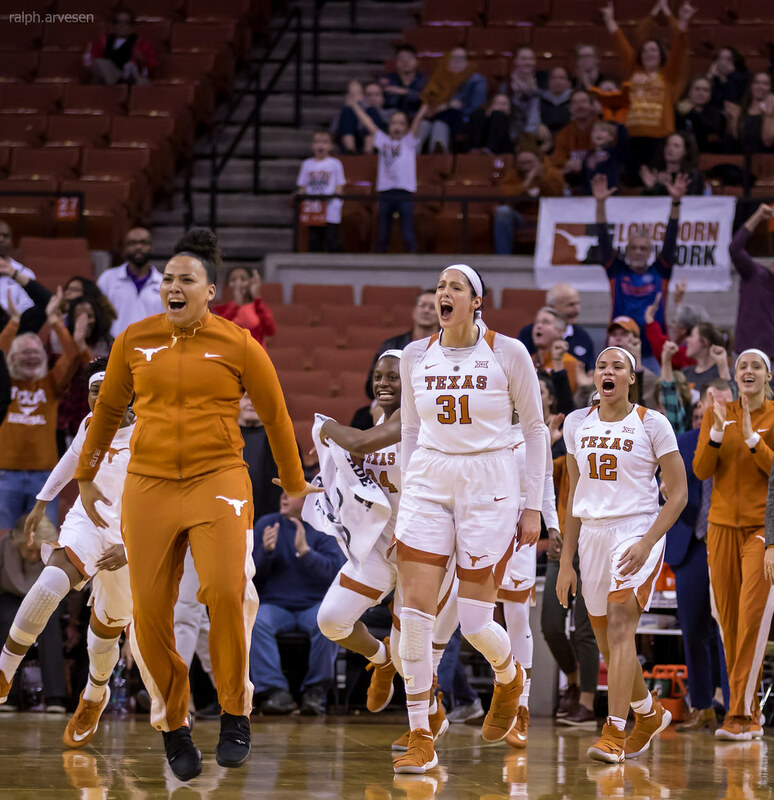 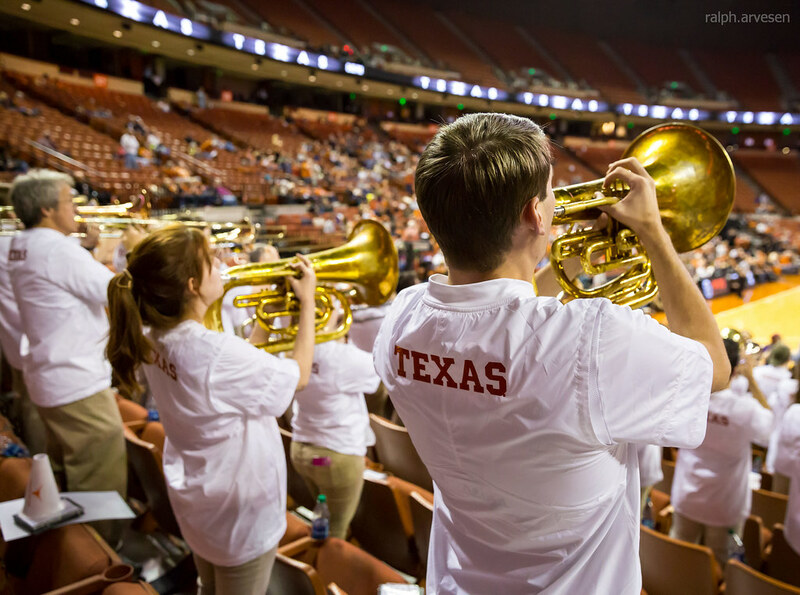 The Longhorns then used a 7-2 run to knot the score at 29-all with 5:14 left until halftime after a resounding three-pointer by McCarty from the deep right corner. 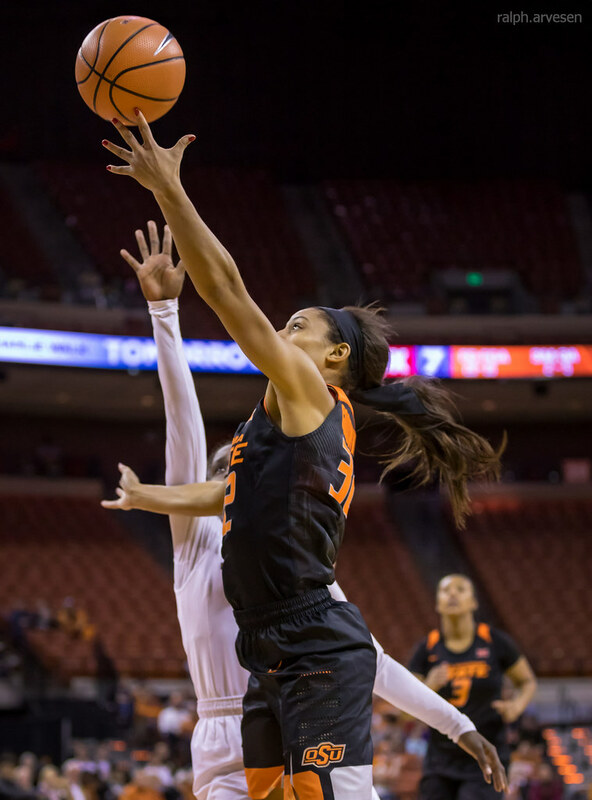 With Texas trailing by one, 32-31, after a spin move for a basket by Jada Underwood, Oklahoma State scored six of the next eight points to go ahead 38-33 with 3:03 remaining until intermission. 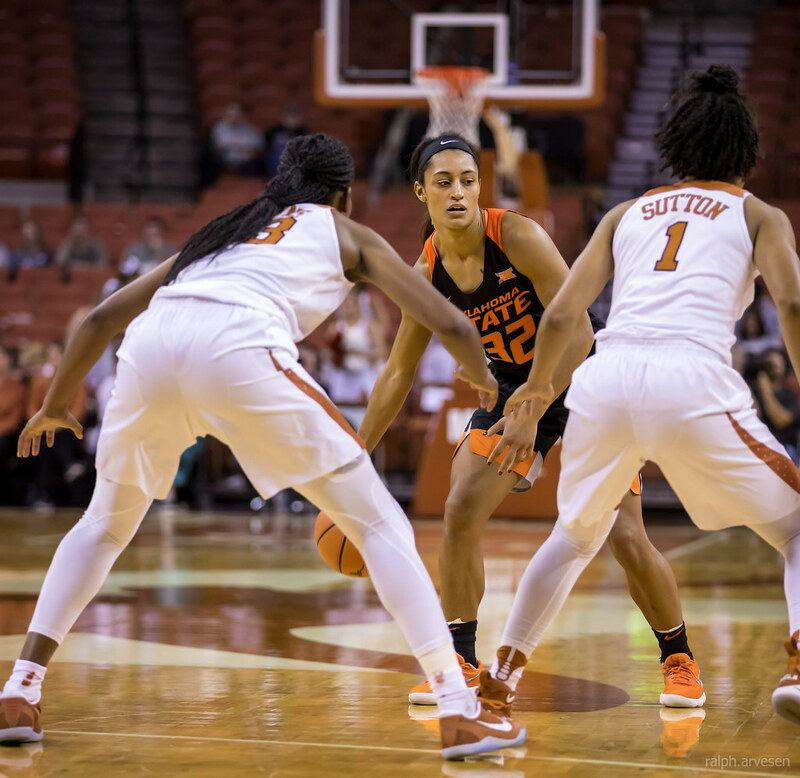 The Cowgirls continued adding to their advantage and pushed their lead out to seven points – their largest of the game – 44-37. 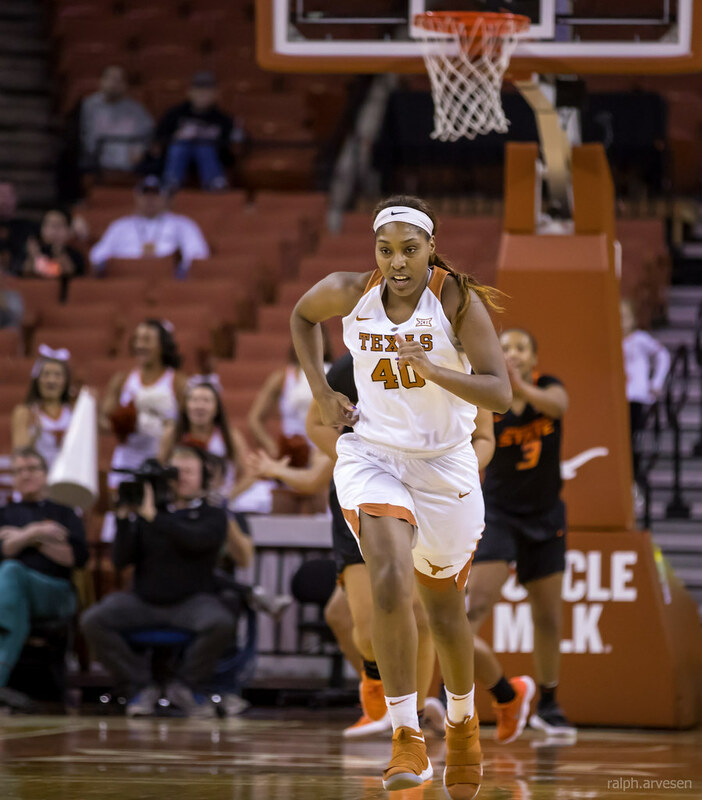 A three-pointer by Sutton with 13.3 seconds left sent Texas into halftime trailing by four, 44-40. 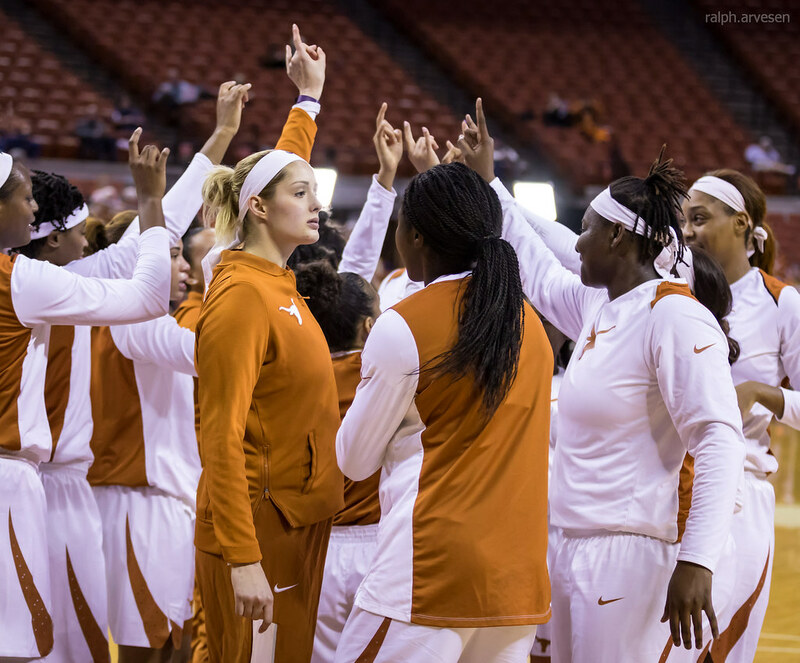 The two squads traded baskets to start the third quarter. 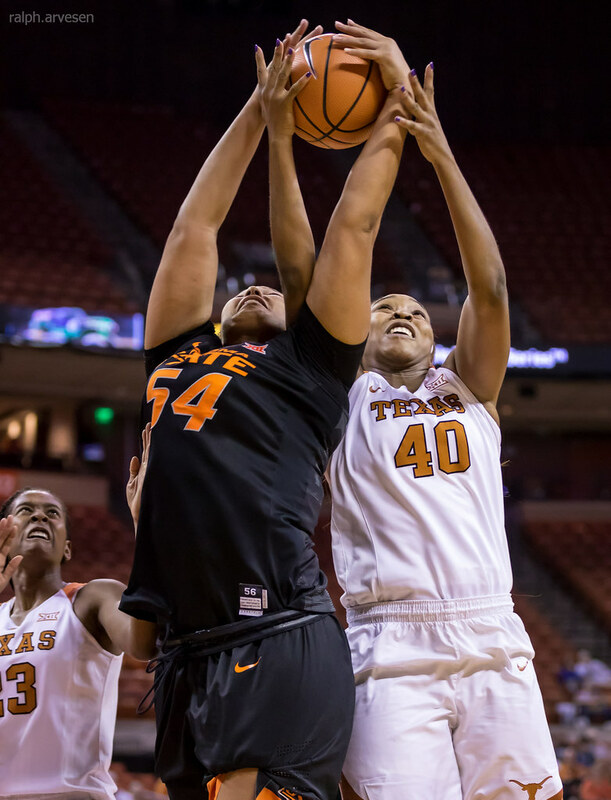 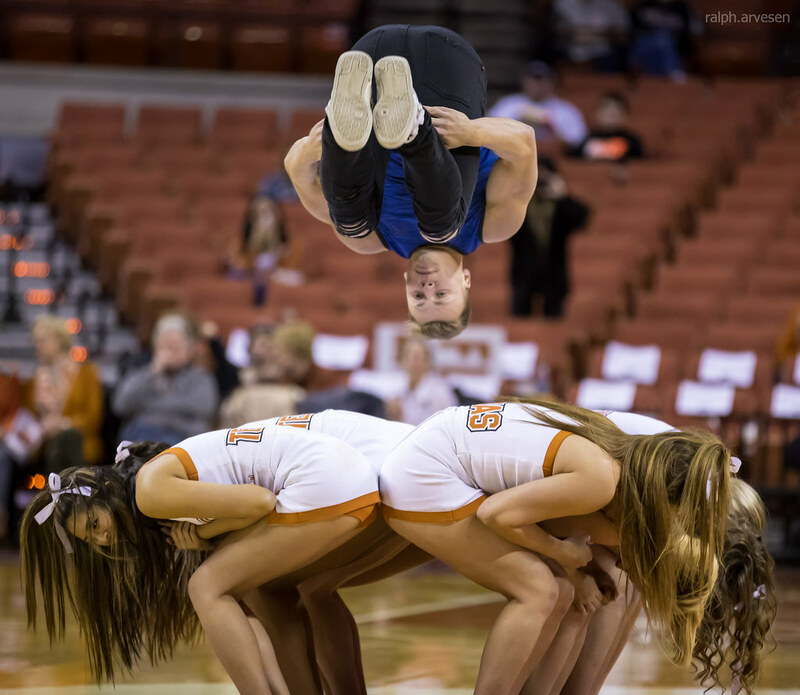 With Texas down 51-44, McCarty made a lay-up and then got a rebound on the other end. 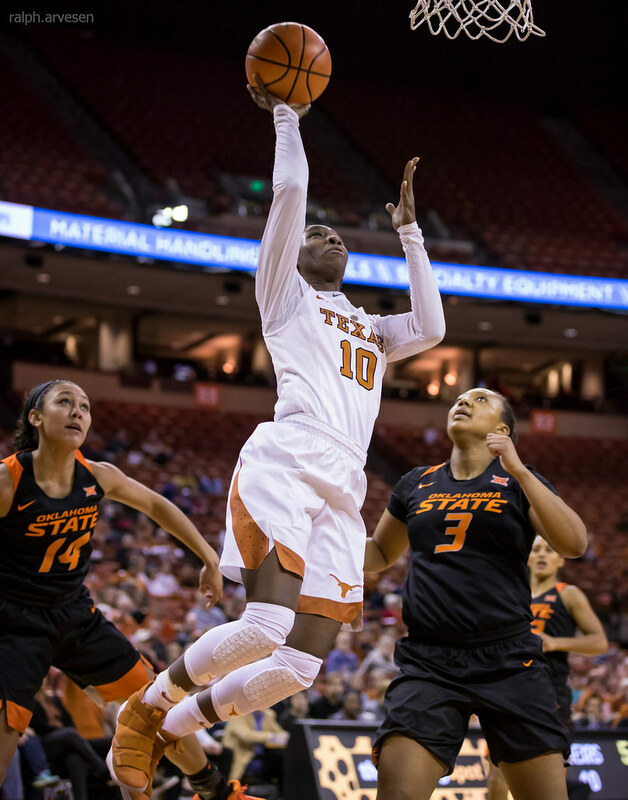 She through an outlet pass in transition to Higgs, who converted the lay-up. 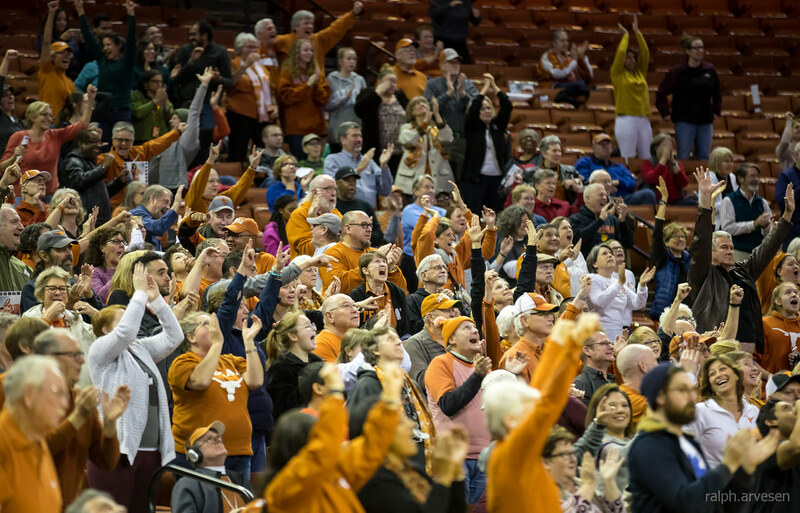 That gave the Longhorns a 51-48 advantage with 6:52 to go in the third quarter and forced Oklahoma State to burn a timeout. 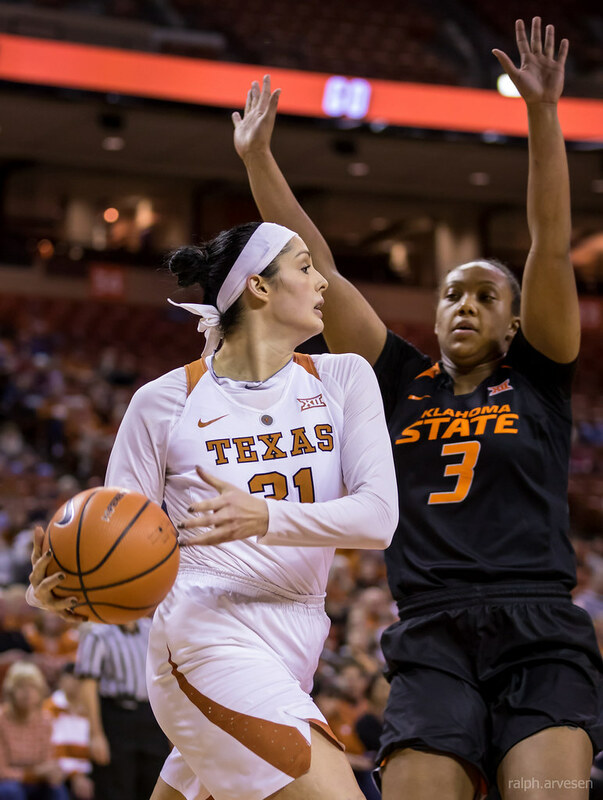 After a Cowgirl hoop, McCarty and Higgs recorded back-to-back baskets to cut their deficit to one, 53-52, at the 5:16 mark of the third period. 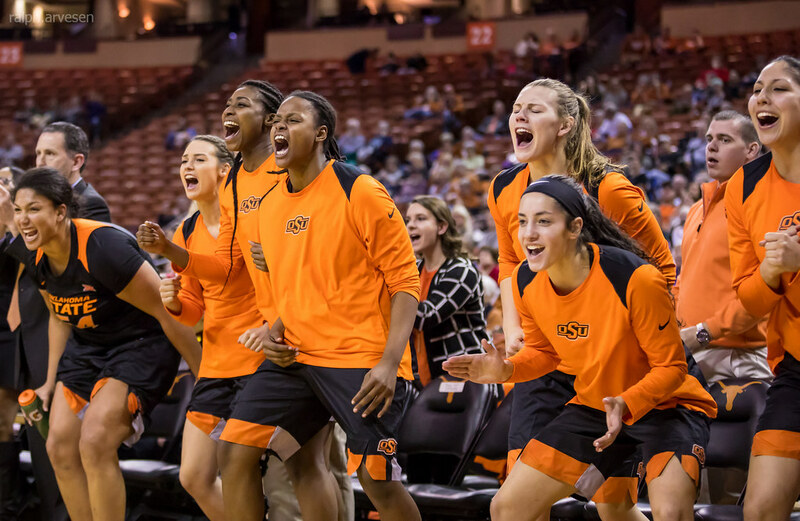 Leading 55-54, Oklahoma State got a basket and a three from Miller to extend its advantage back out to six, 60-54, with 2:57 left in the quarter. 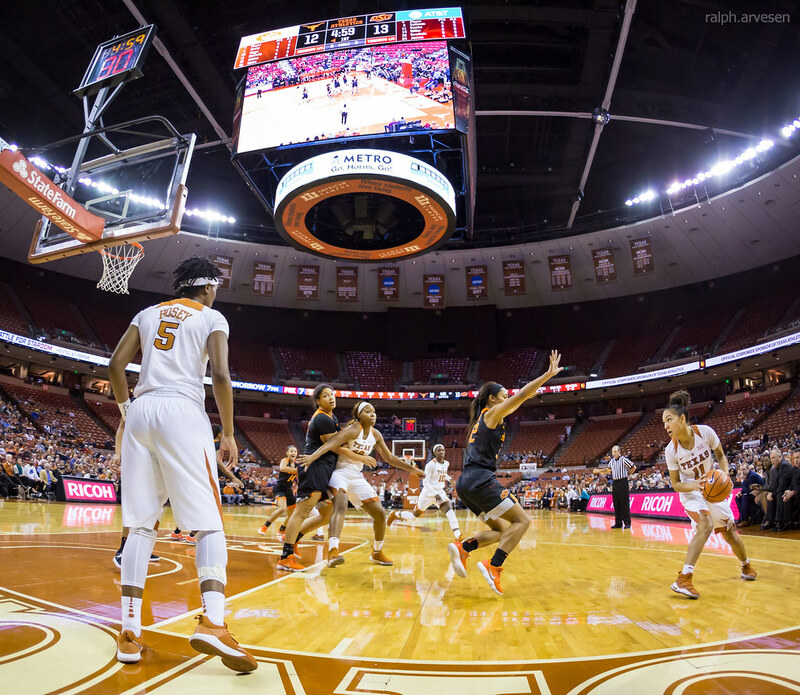 Down 62-56 with 2:21 left, Texas ran off five points in a row – all from Higgs – to come within one, 62-61. 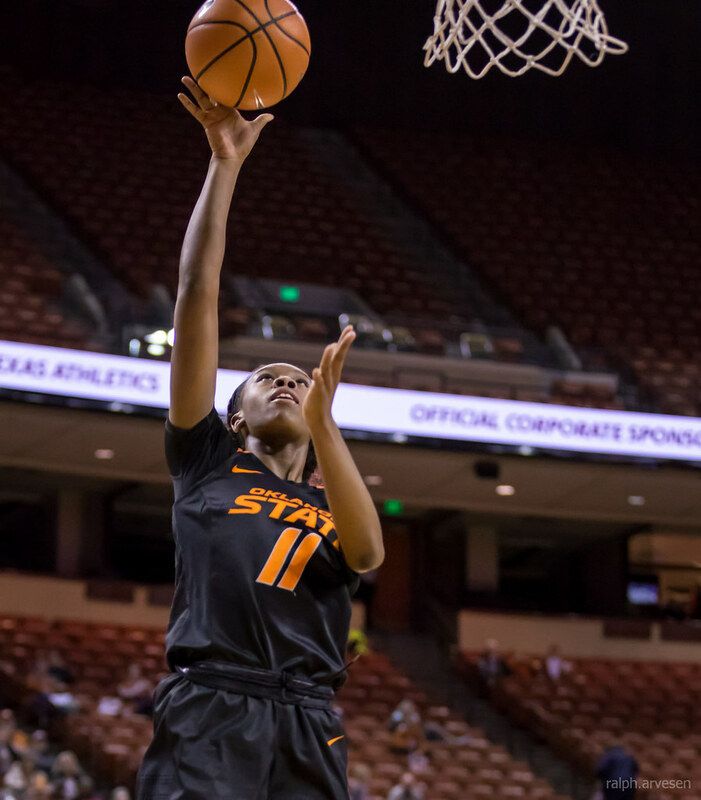 The teams traded baskets and Oklahoma State entered the final period with a 67-63 advantage. 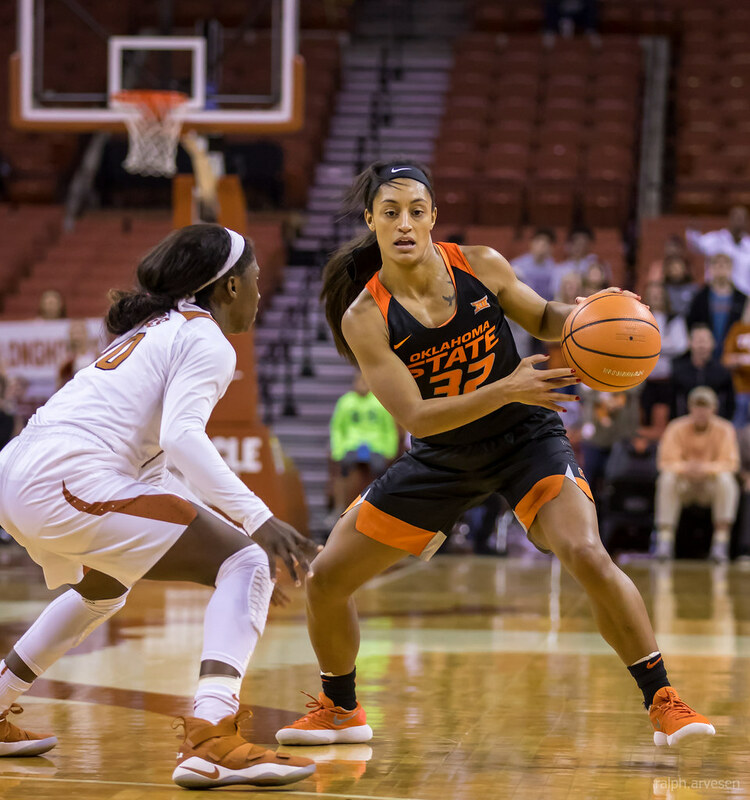 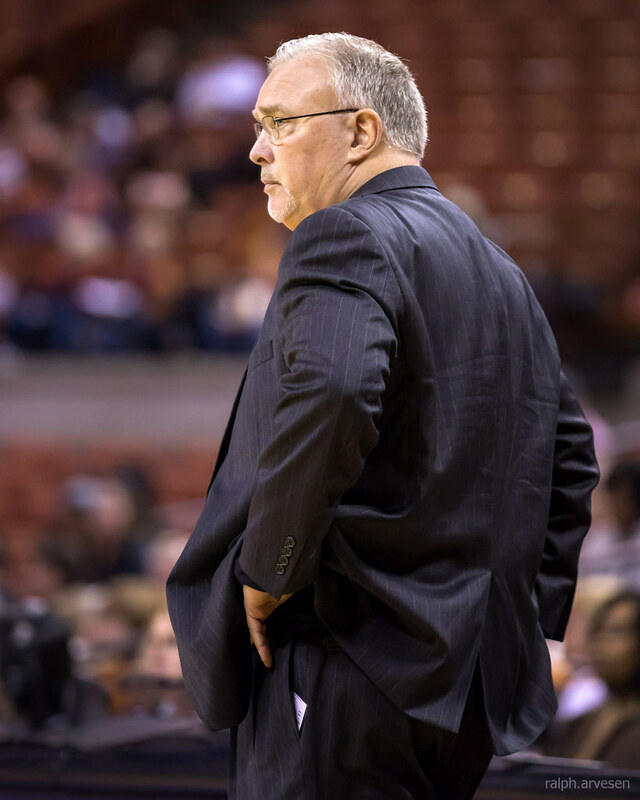 A pair of Higgs free-throws started the fourth quarter and brought Texas within two, 67-65, but Oklahoma State got three consecutive baskets, including two from Jensen, to widen their lead to eight, 73-65, with 7:02 remaining in the game. 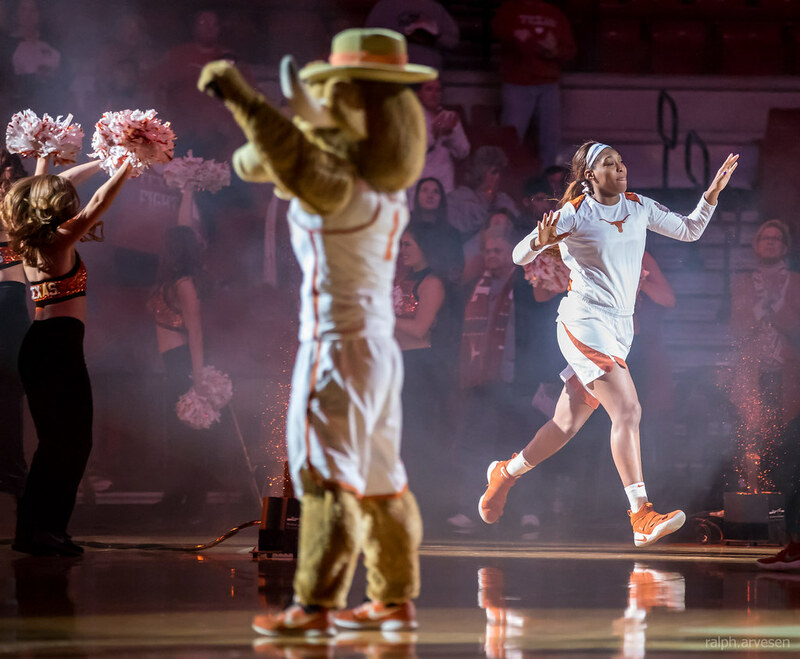 From there, sophomore guard/forward Joyner Holmes, who finished with three points and two rebounds, hit one of two free throws and Higgs drilled a three from the left corner to cut within four, 73-69, with 5:55 to go. 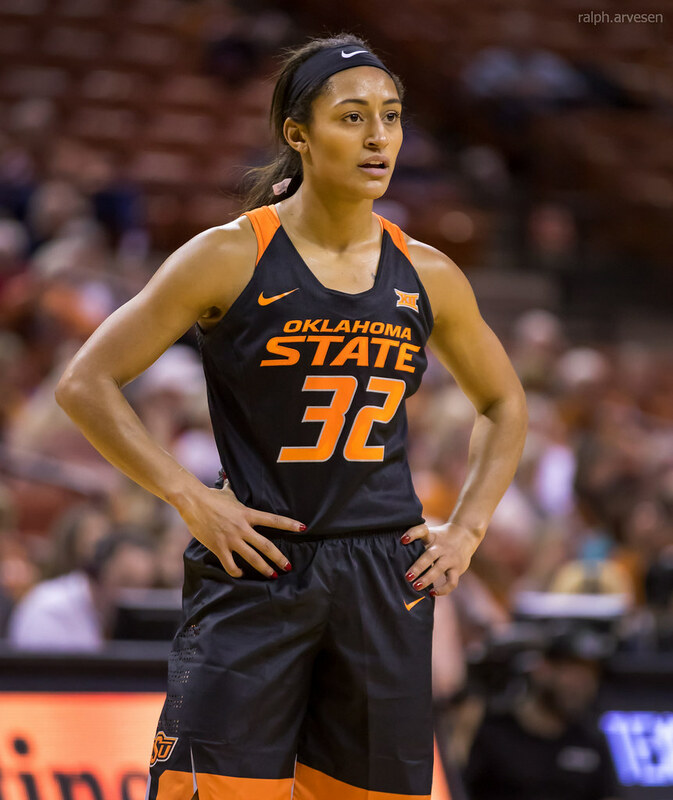 Oklahoma State led 77-71 with 3:44 left in the game when Sutton connected on a jumper. 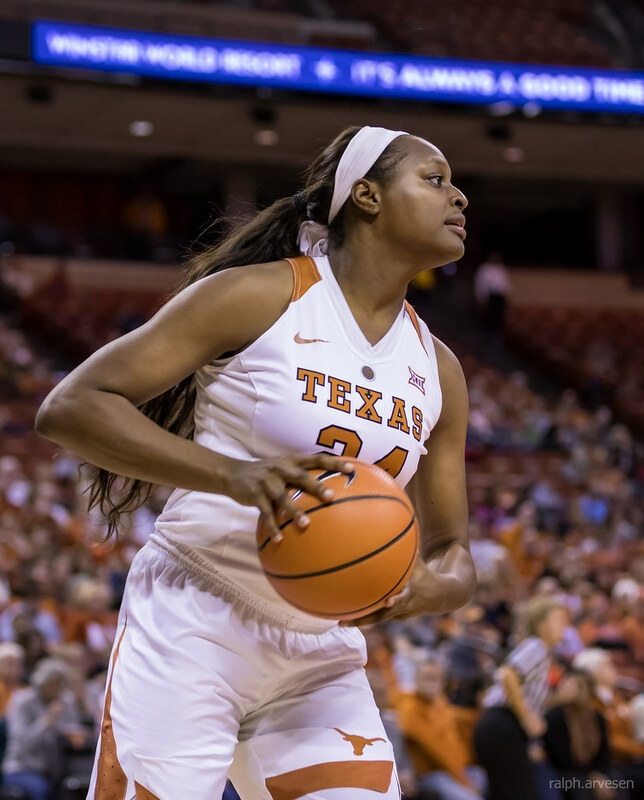 On the next possession she swished a three from the right corner with 3:03 remaining to bring the Longhorns within one, 77-76. 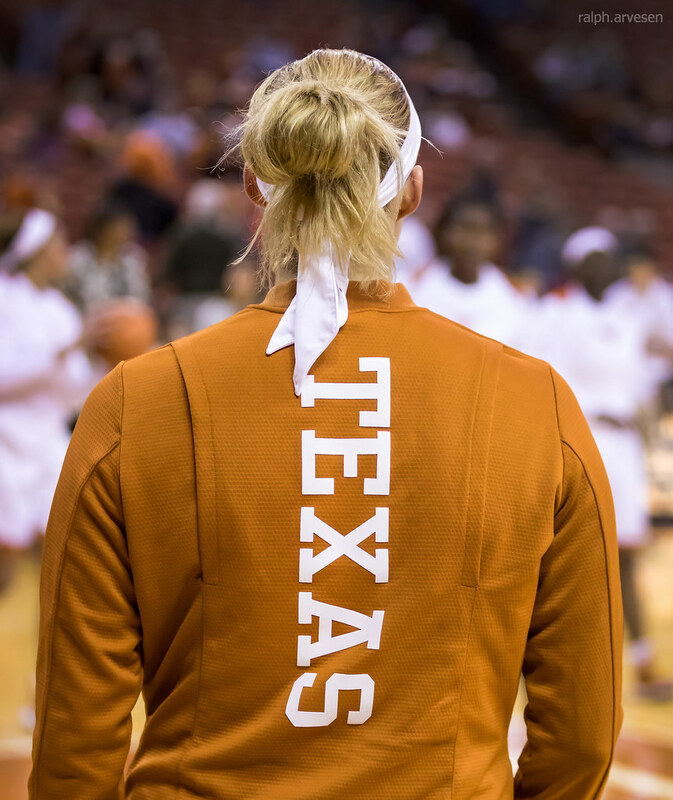 Texas made each of its next four free throws with a pair each from Higgs and McCarty to take an 80-77 lead with 2:17 remaining. 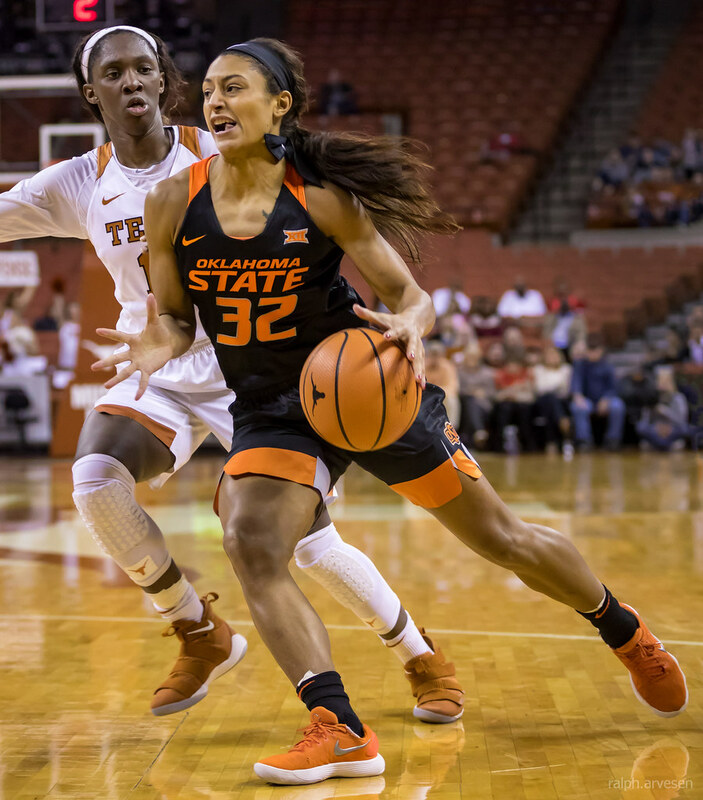 The Cowgirls' Miller converted a jumper with 1:52 left to cut Oklahoma State's deficit to one, 80-79, at the 1:52 mark of the fourth quarter. 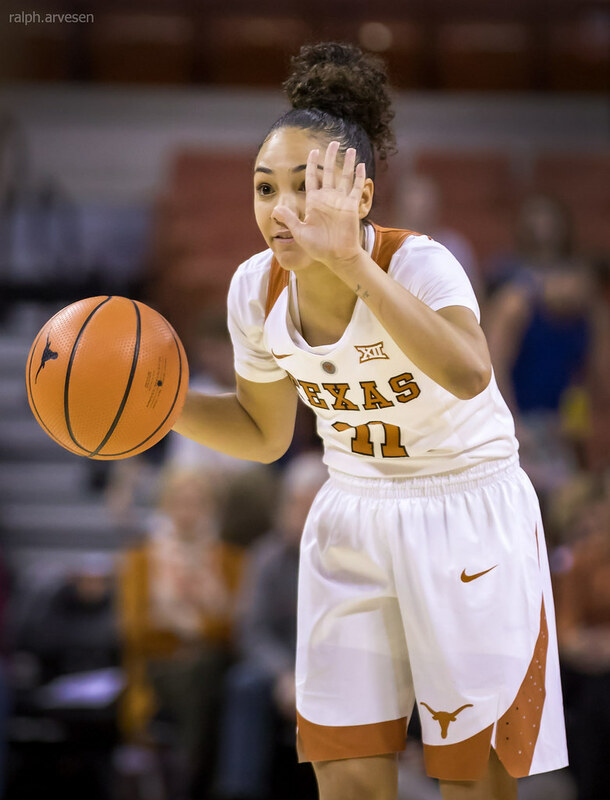 Out of a timeout, Higgs made a lay-up to put Texas ahead by three, 82-79, with 37 seconds remaining. 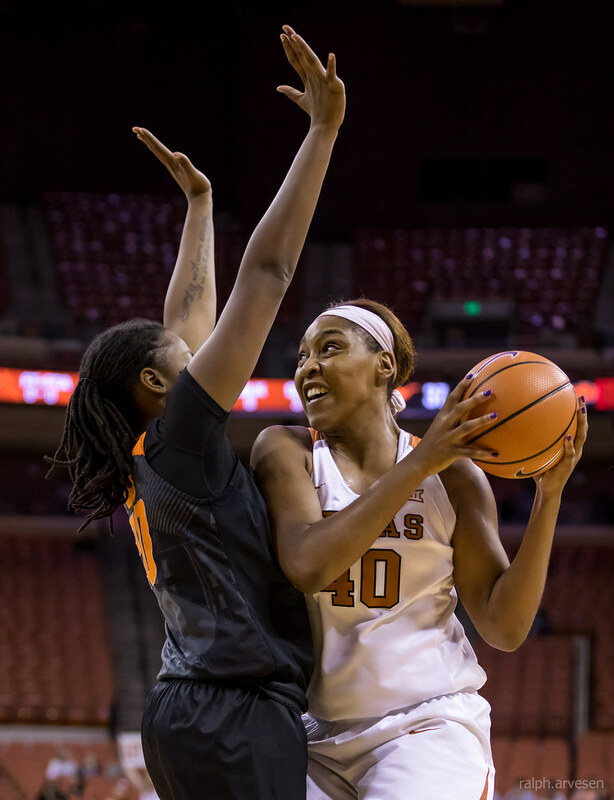 The Longhorns capped the win with a jumper from White with five seconds remaining.